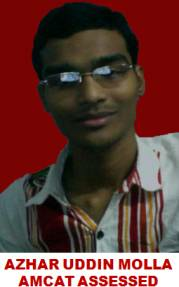 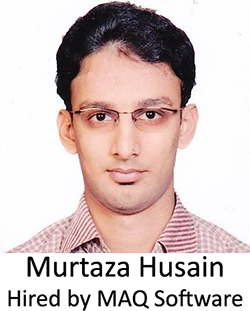 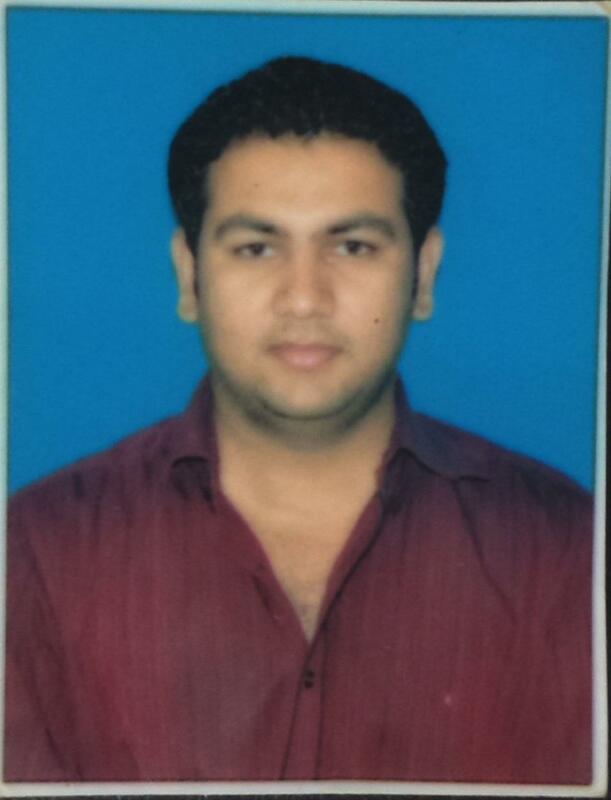 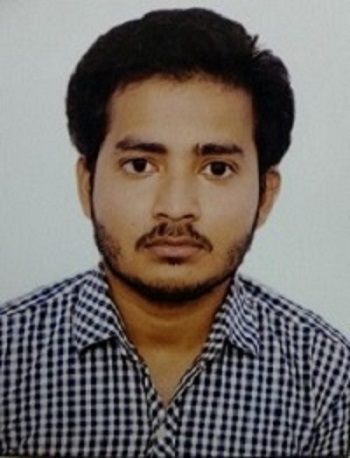 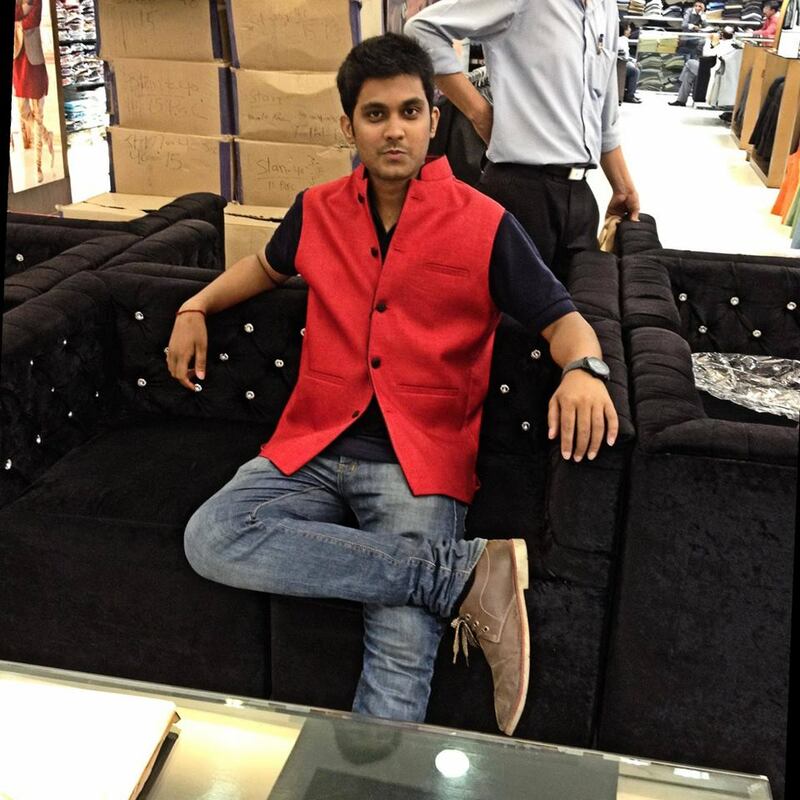 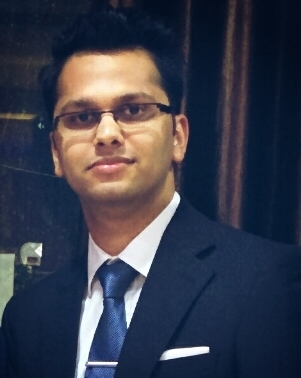 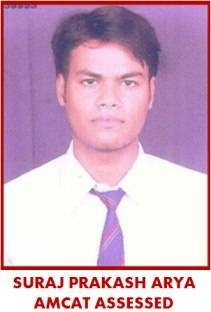 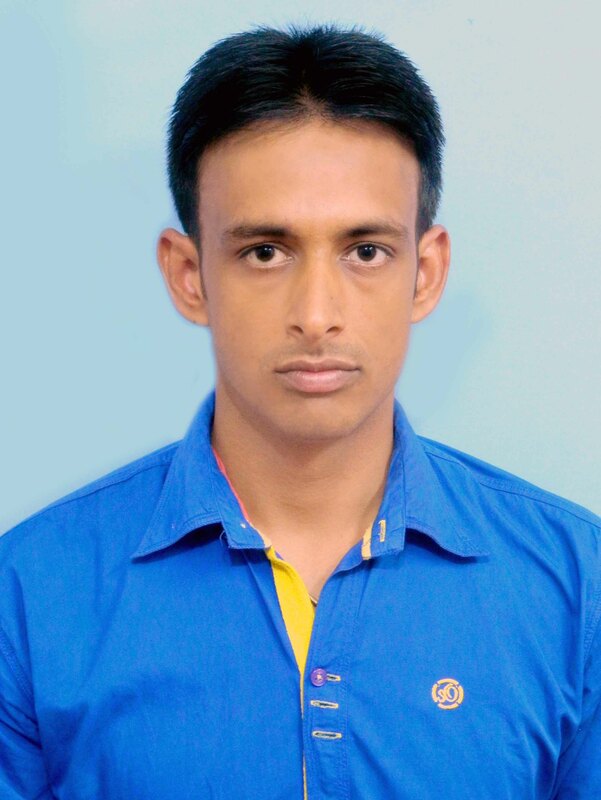 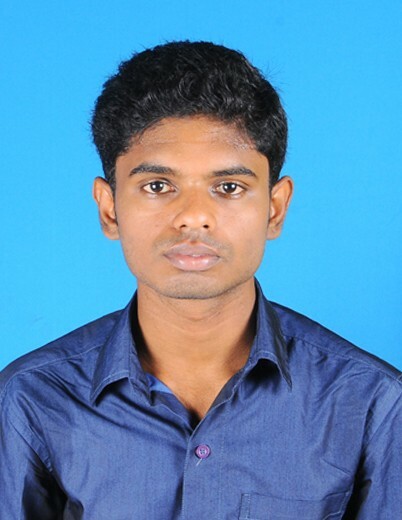 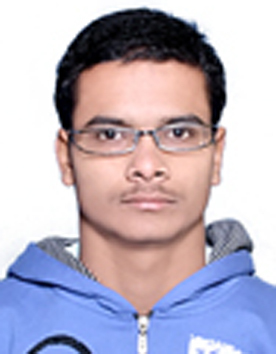 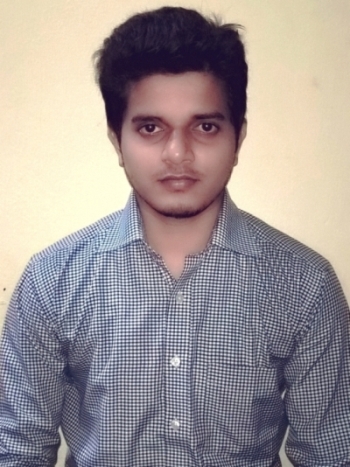 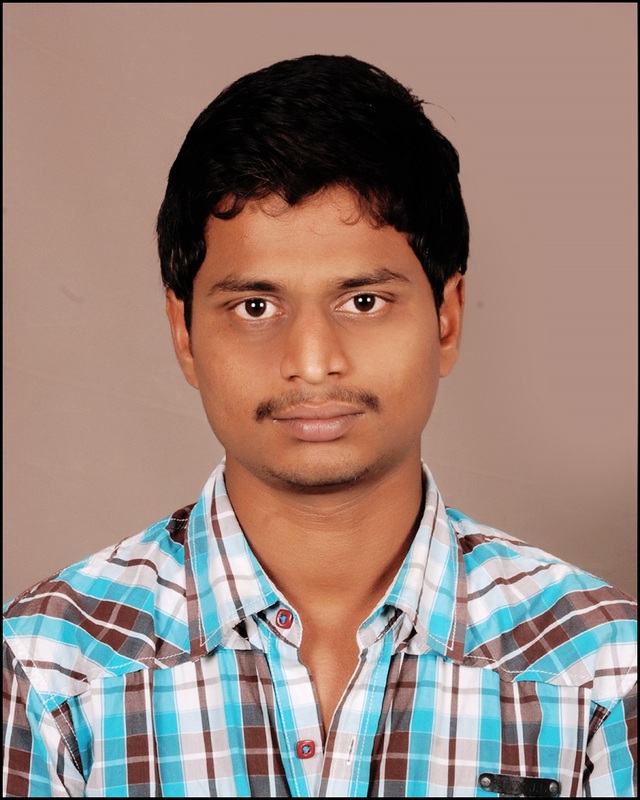 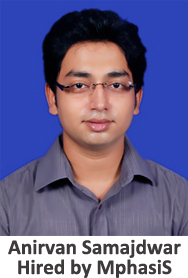 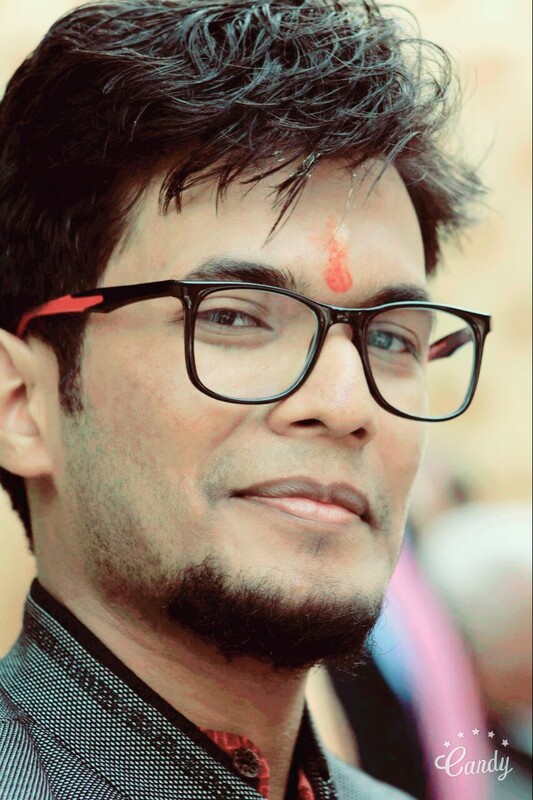 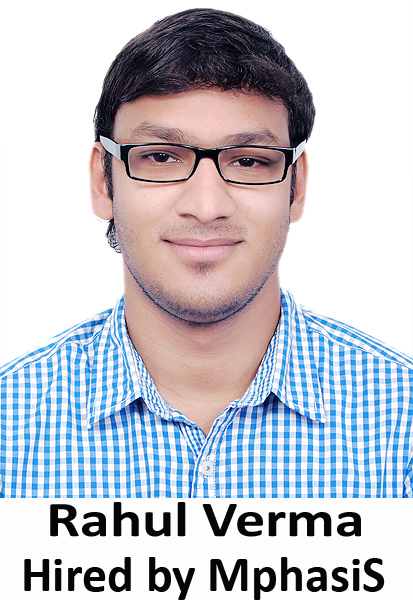 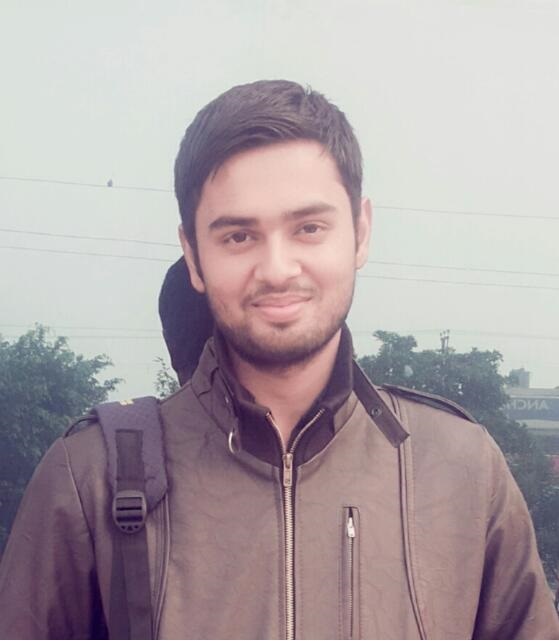 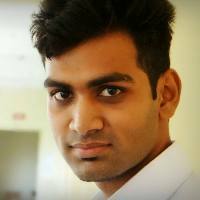 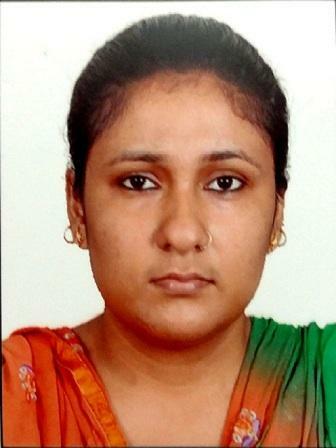 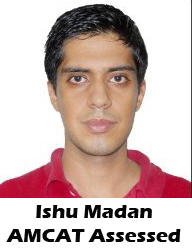 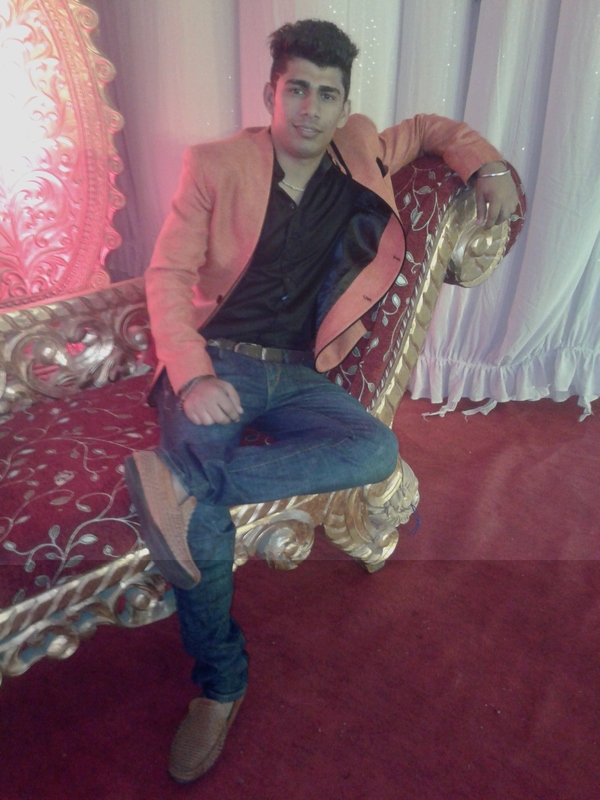 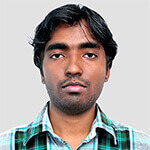 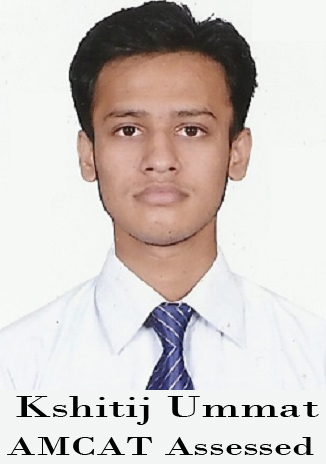 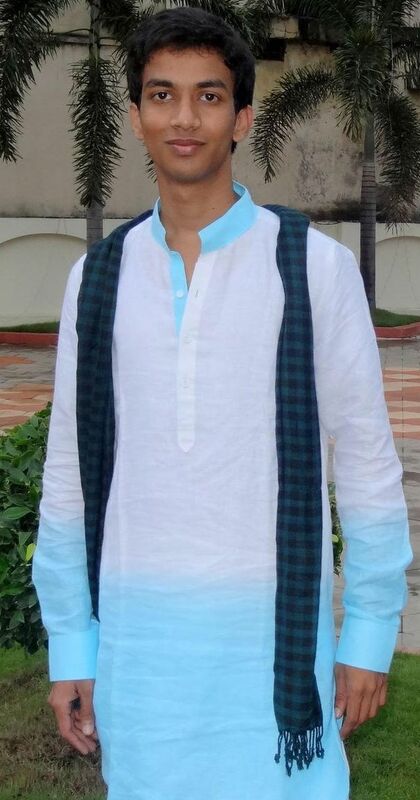 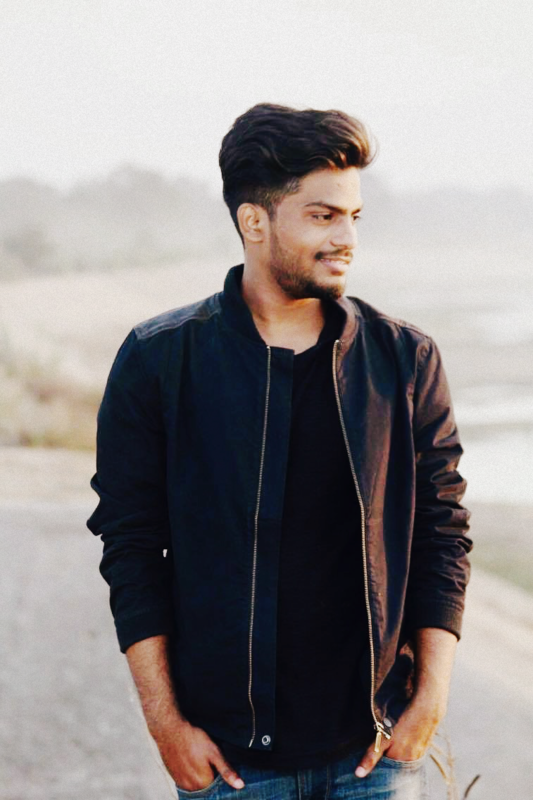 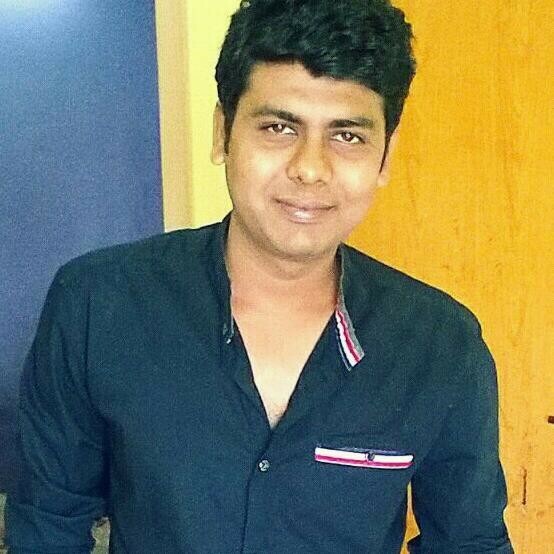 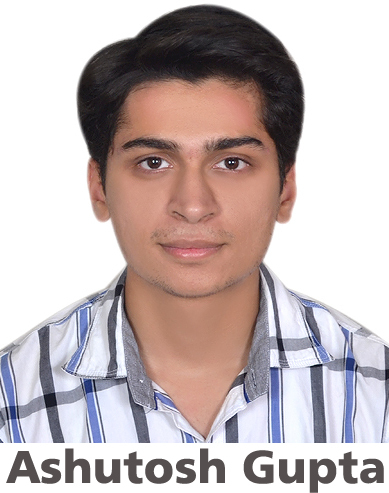 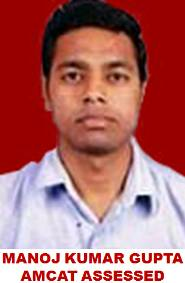 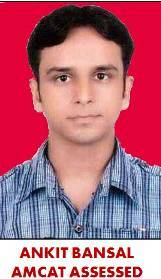 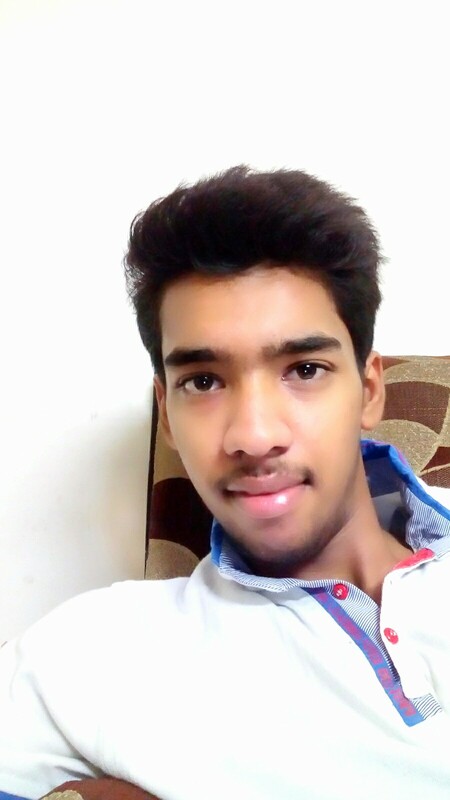 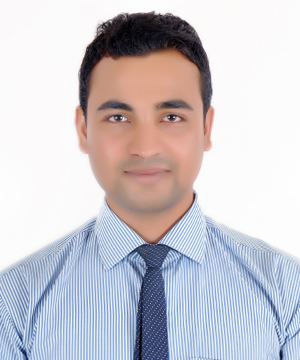 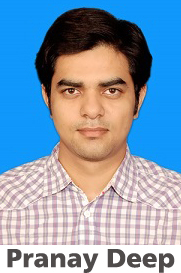 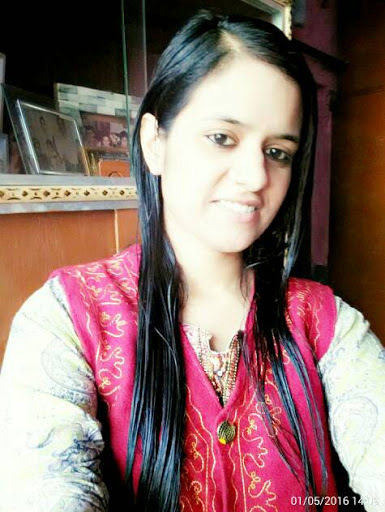 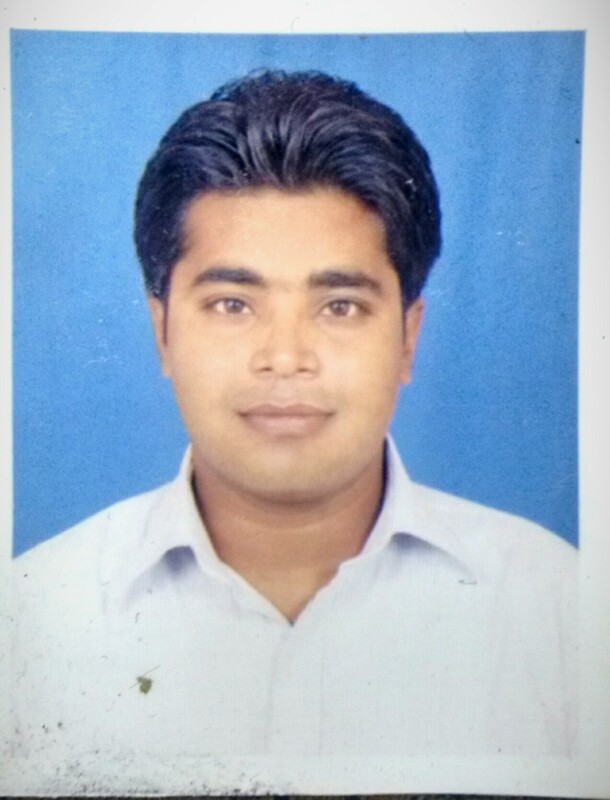 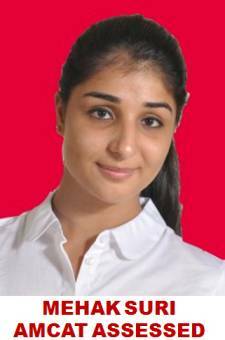 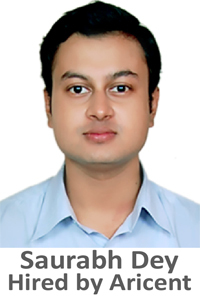 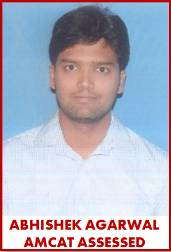 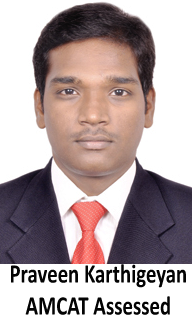 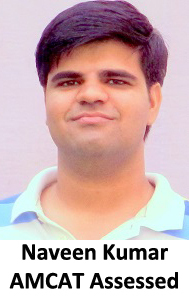 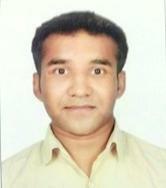 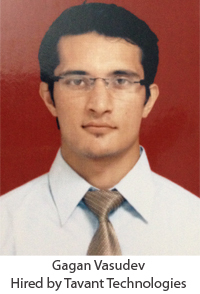 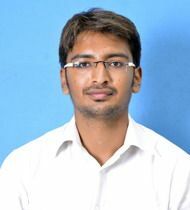 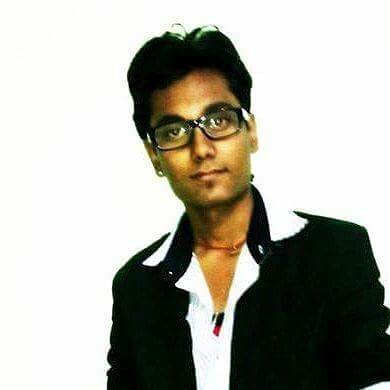 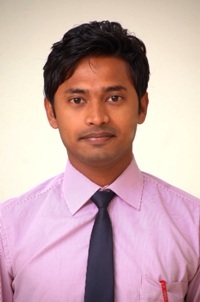 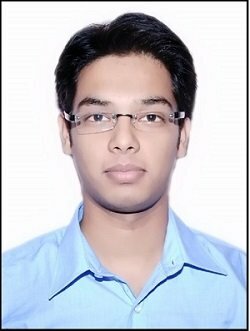 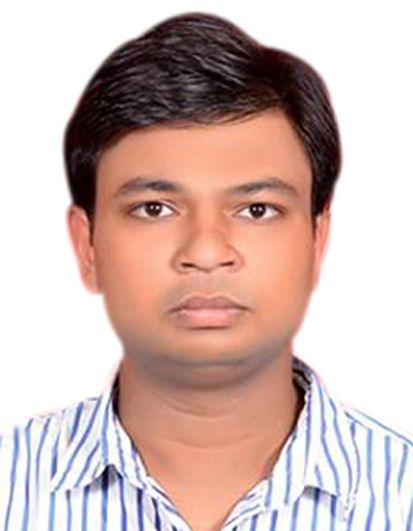 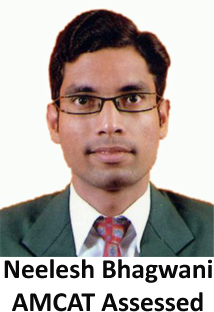 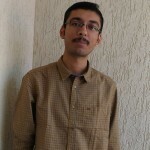 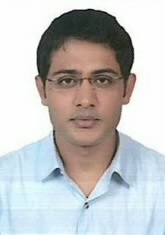 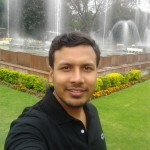 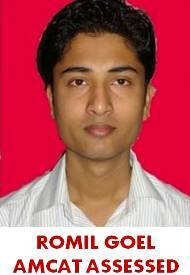 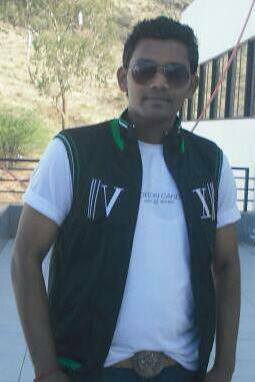 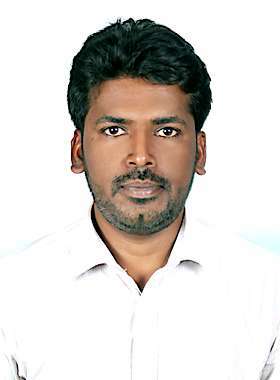 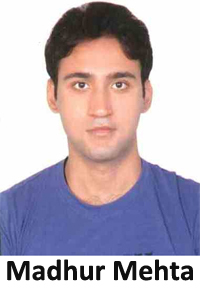 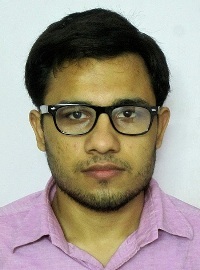 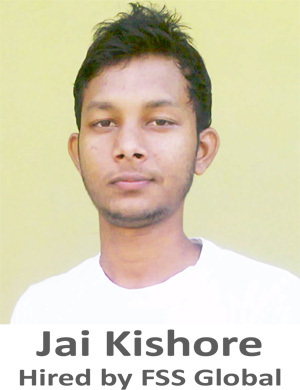 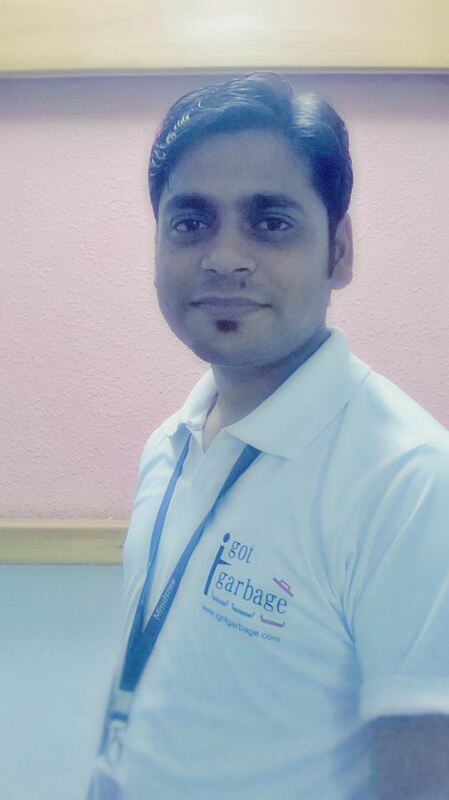 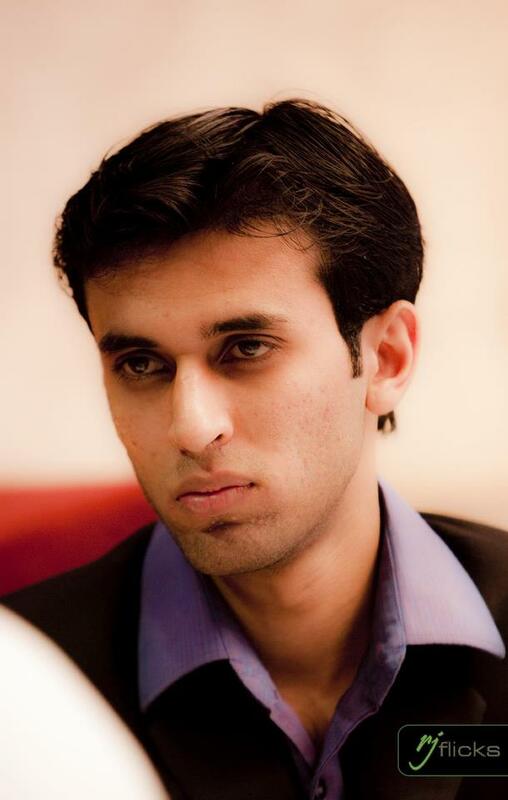 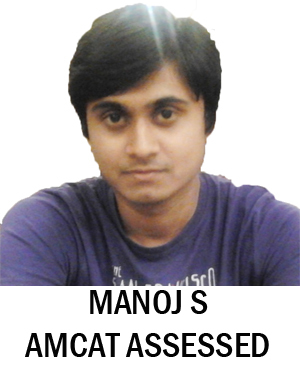 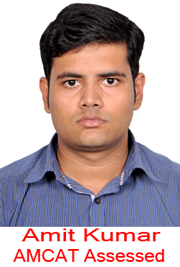 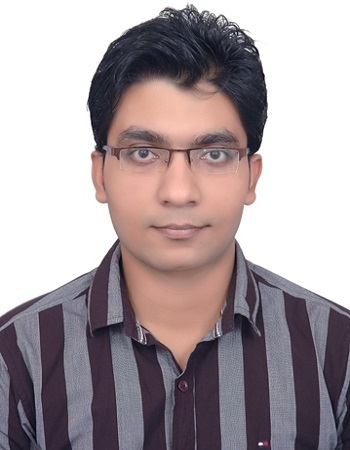 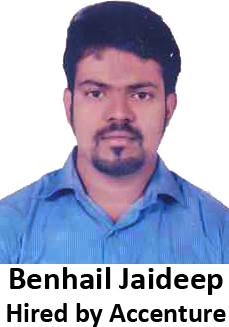 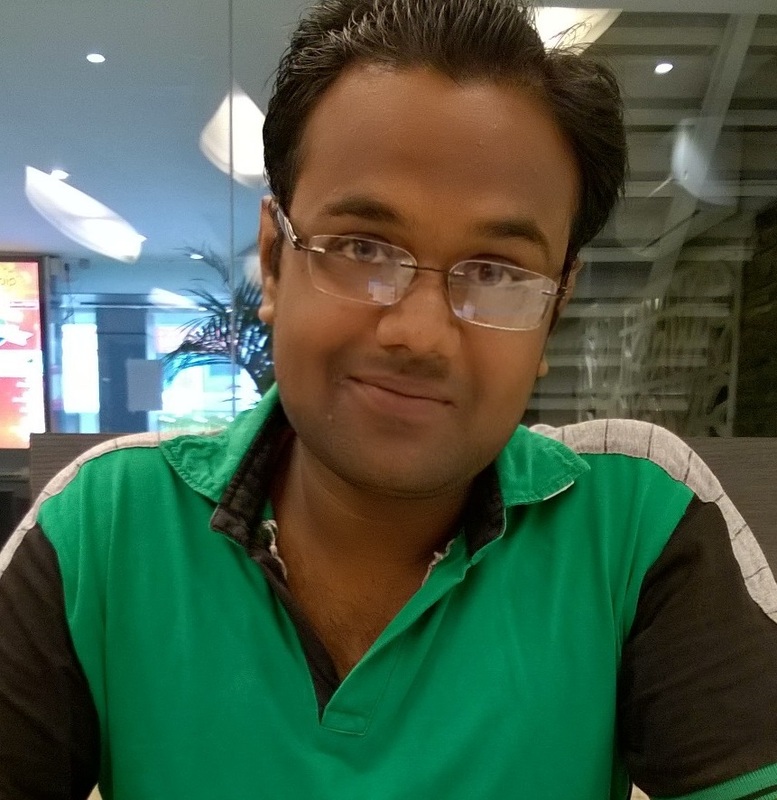 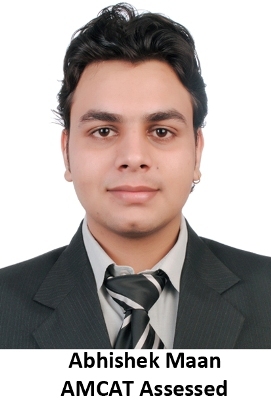 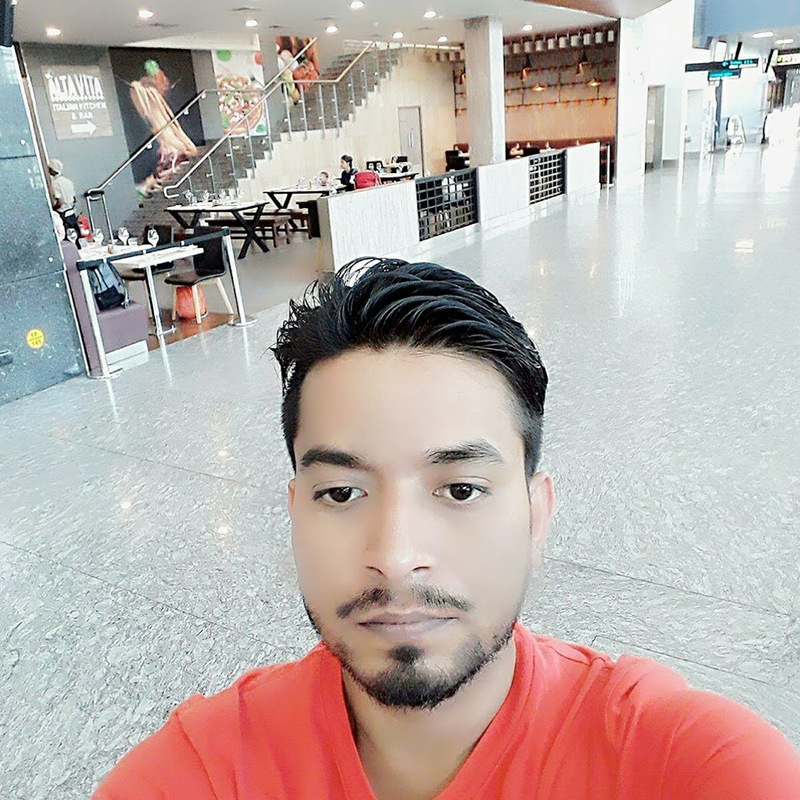 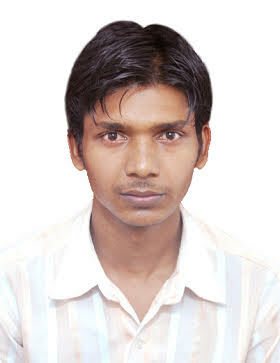 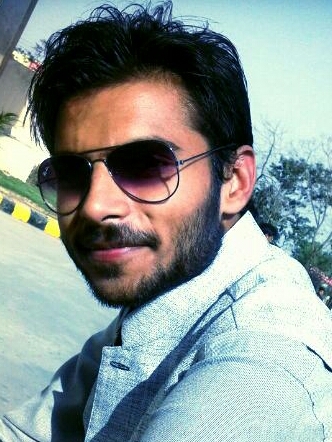 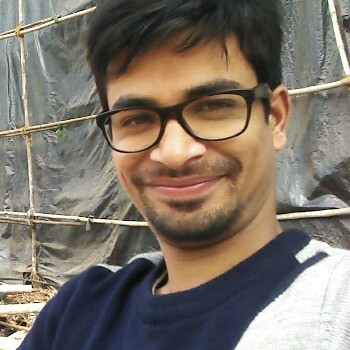 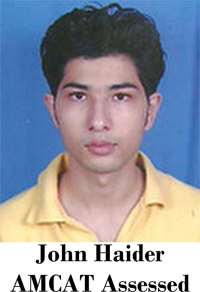 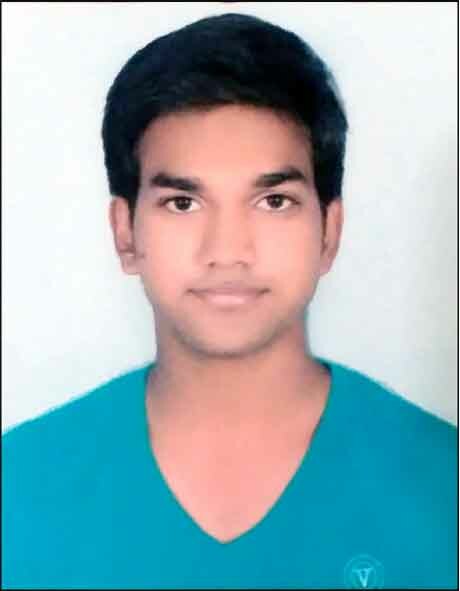 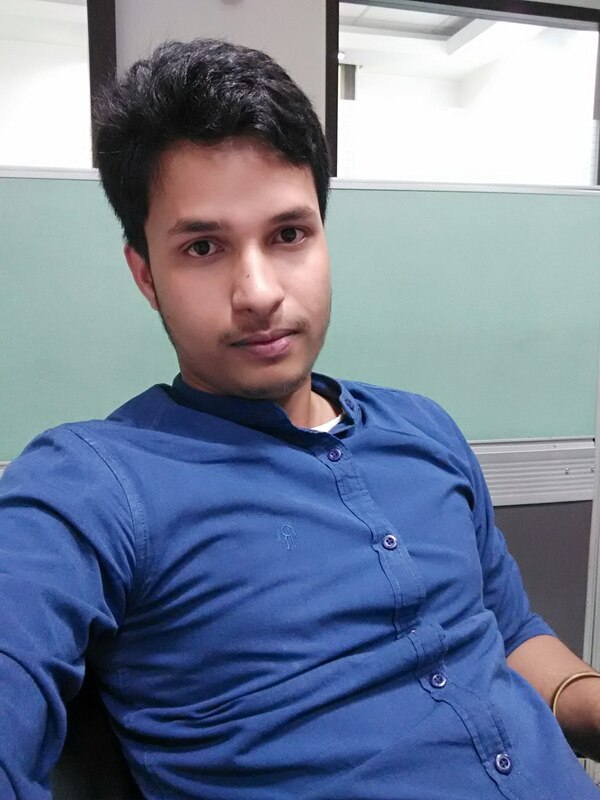 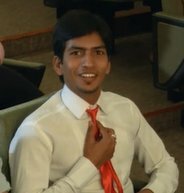 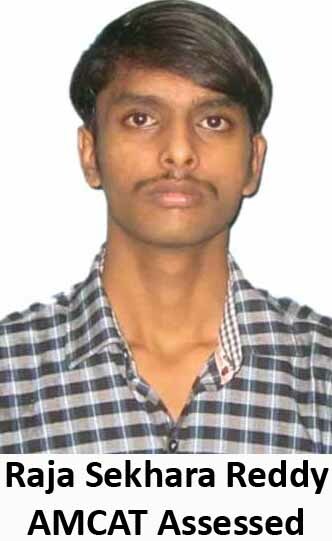 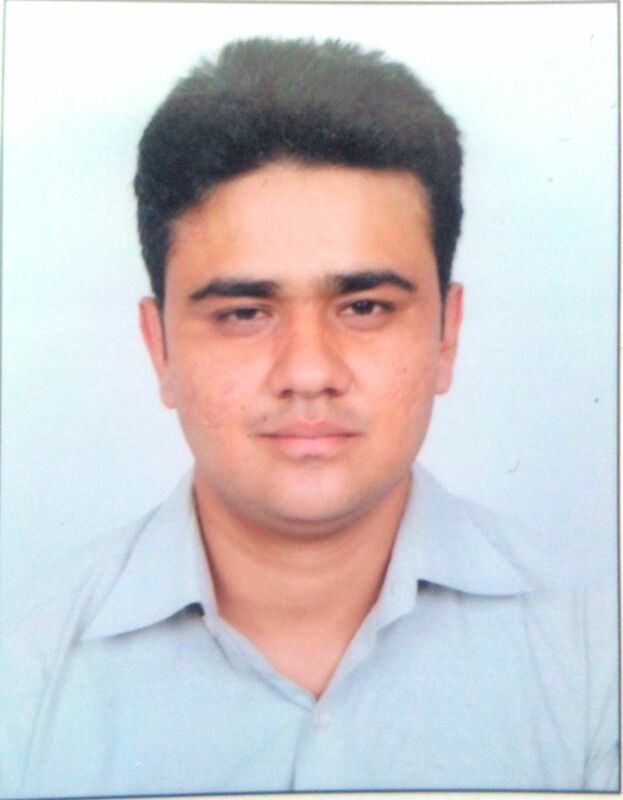 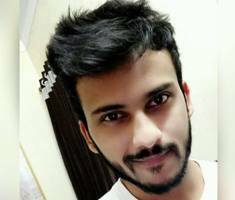 Paritosh: My name is Paritosh Srivastava and I am from Lucknow, Uttar Pradesh. 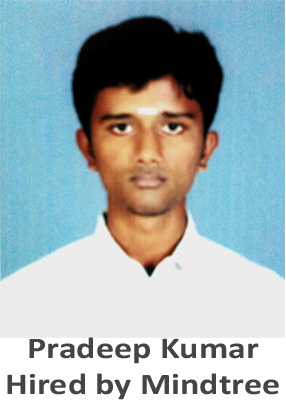 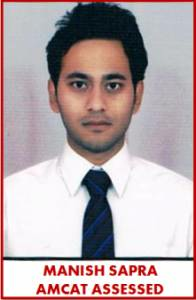 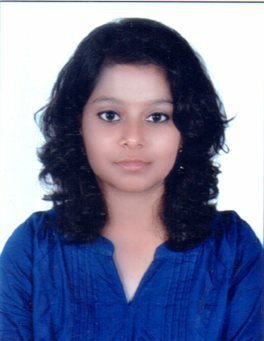 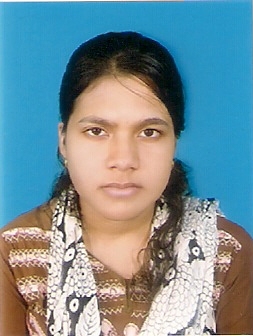 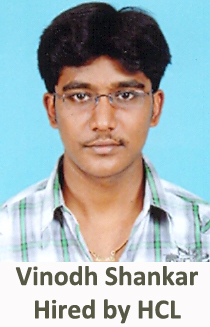 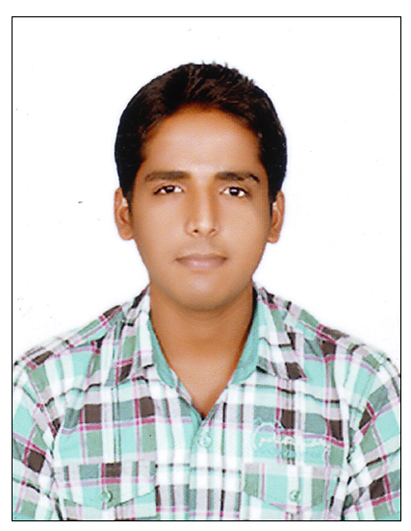 I have completed my B.Tech from ABES Engineering College, Ghaziabad. 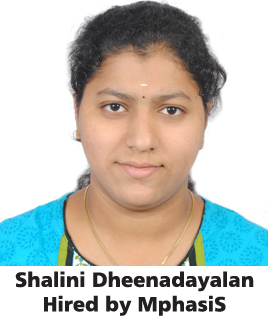 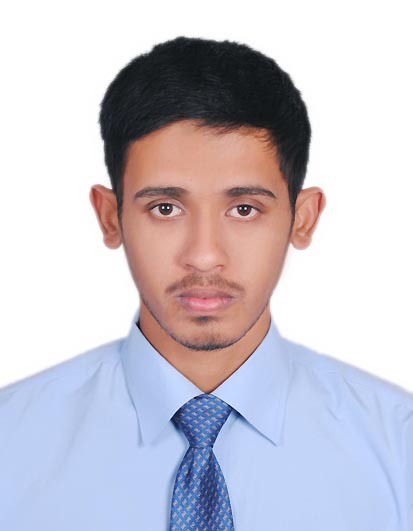 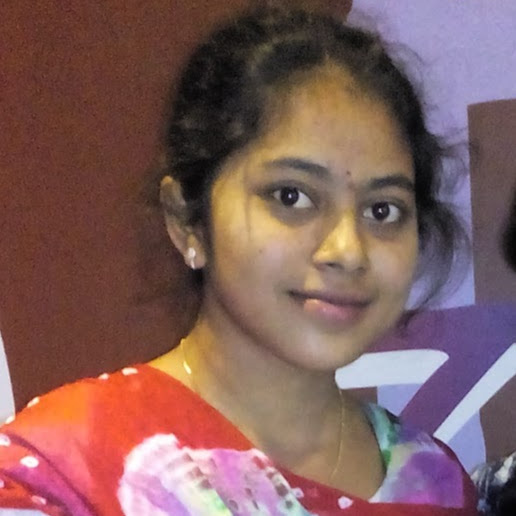 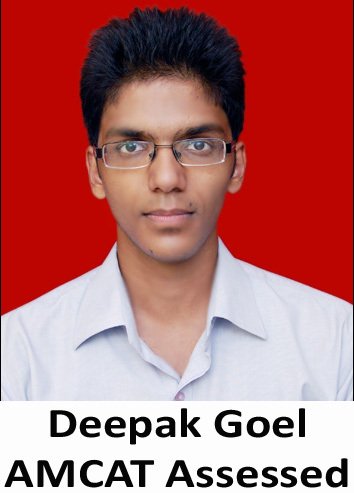 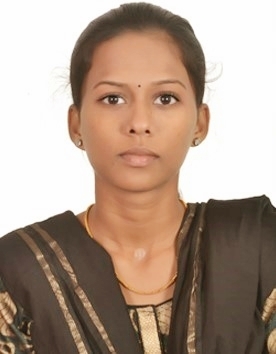 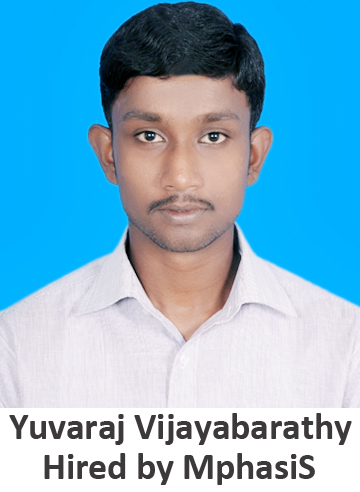 My basic aim in life is to become a successful software consultant and want to contribute in society by solving the basic problems concerned with social issues by the application of technology. 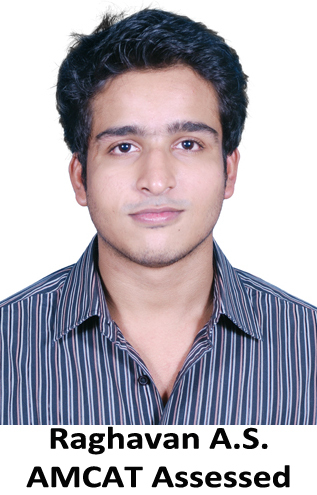 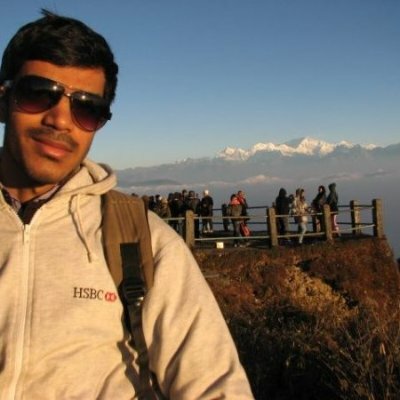 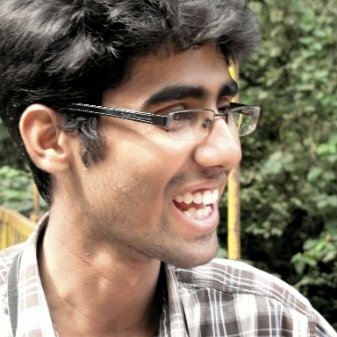 Paritosh: As a fresher, I faced a lot of difficulties due to recession. 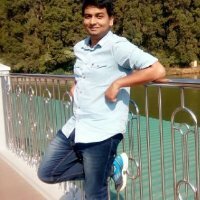 There were very less software jobs in the market. 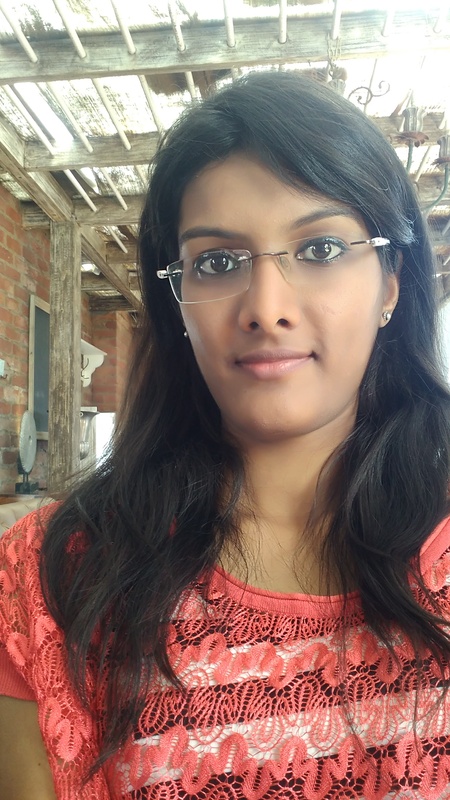 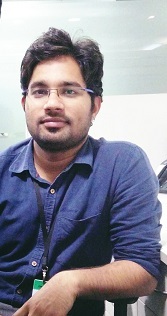 Most of the interview calls which I was getting from the various job sites were BPO jobs, Technical Support or Call centre jobs which I think wasn’t was a good option for me. 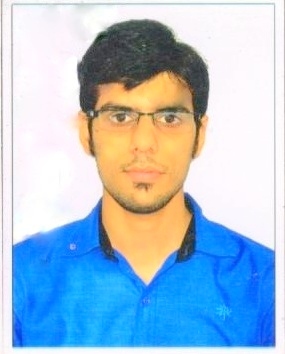 So in the end, after I passed out of my college, I gave AMCAT exam seriously in which I got a nice percentile and finally got placed in one of the top MNCs. 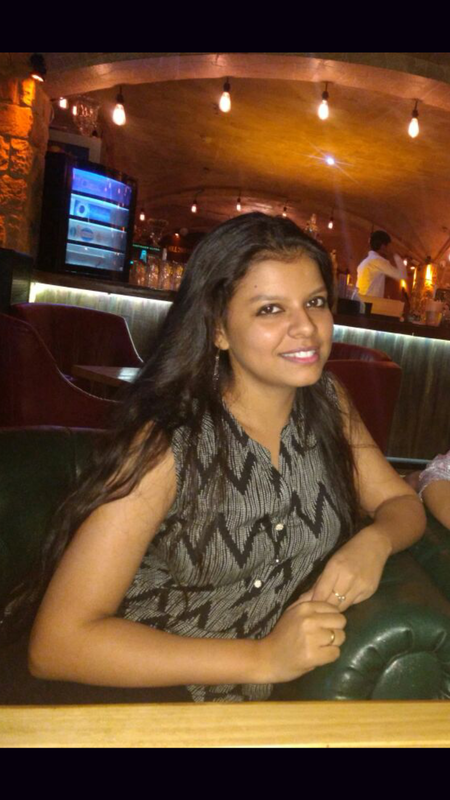 Aspiring Minds: Tell us about your experience post giving the AMCAT test and how AMCAT helped you in getting the job at Sapient Nitro? 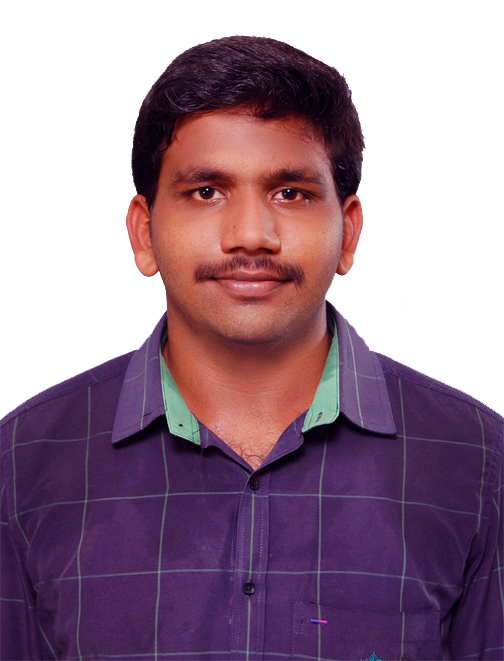 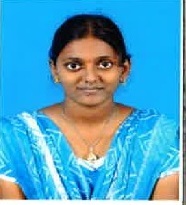 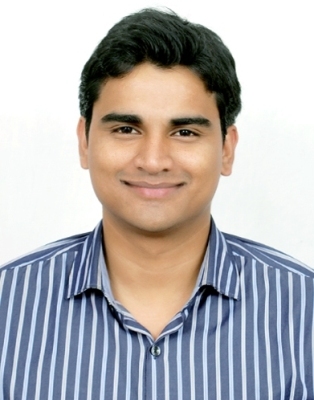 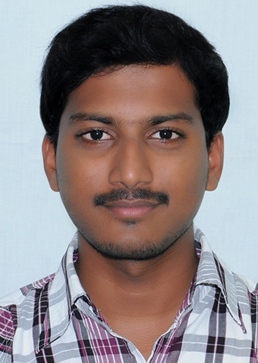 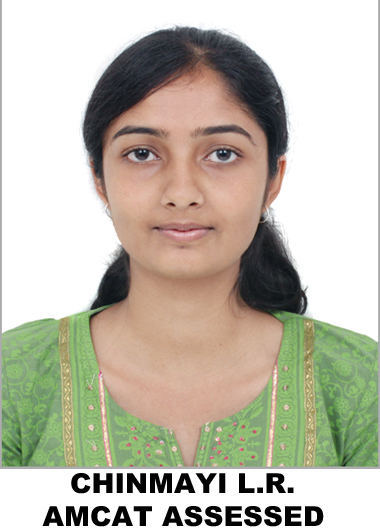 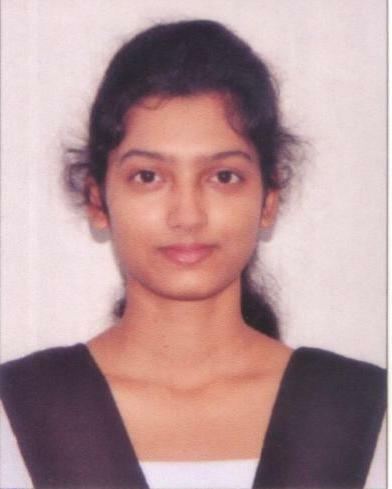 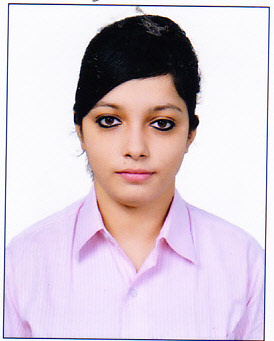 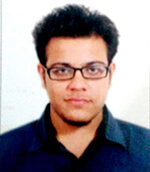 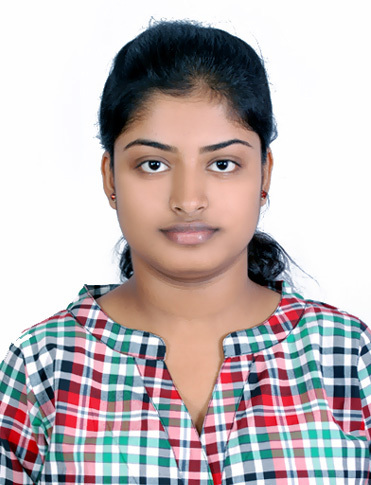 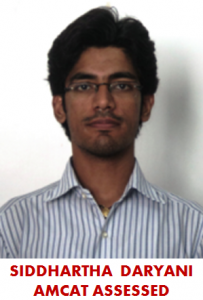 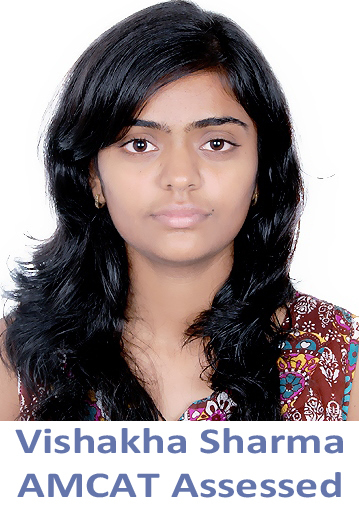 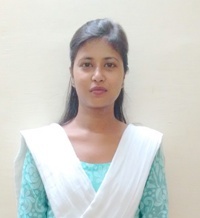 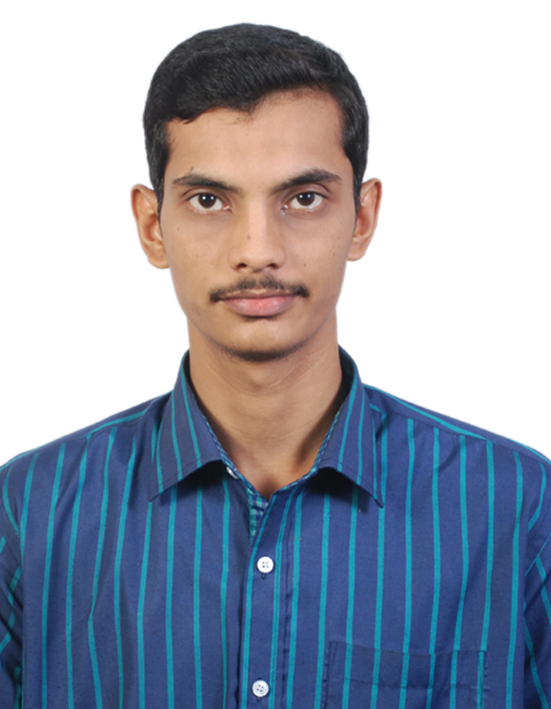 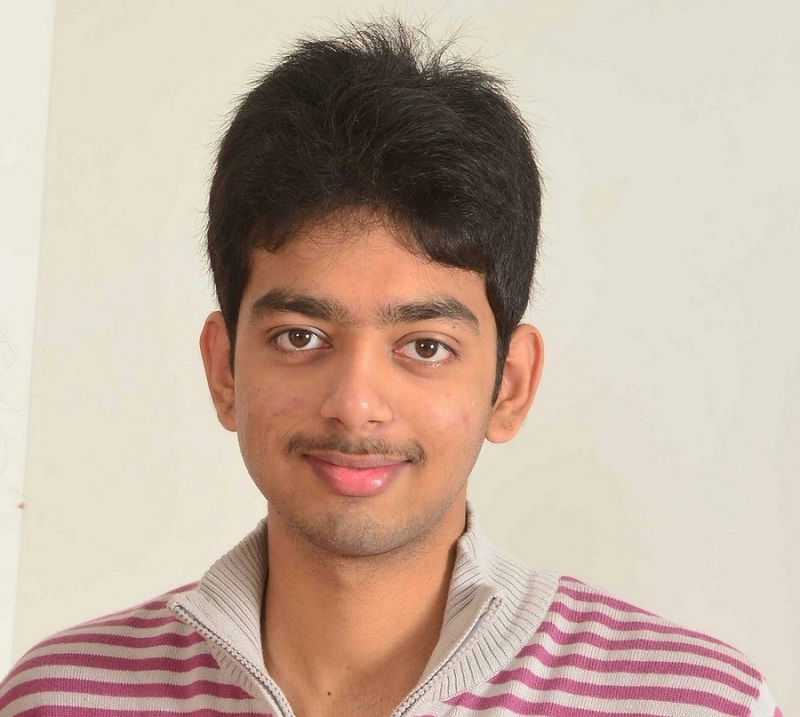 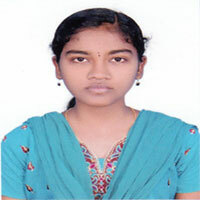 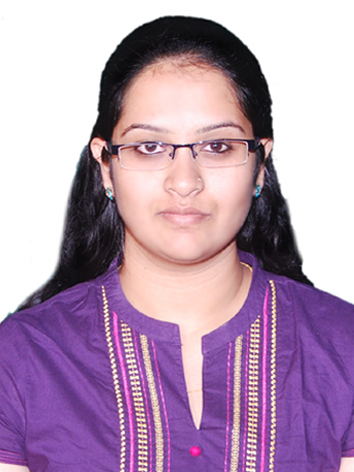 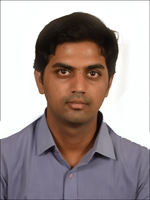 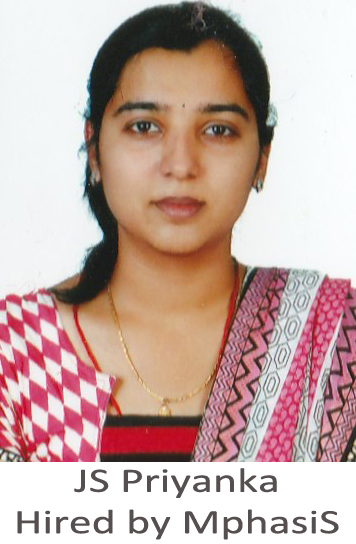 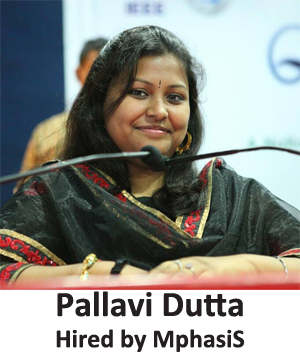 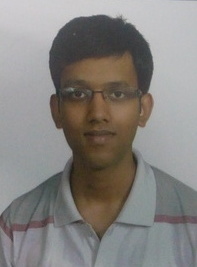 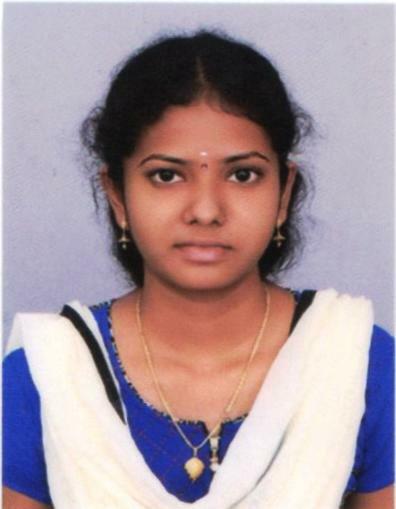 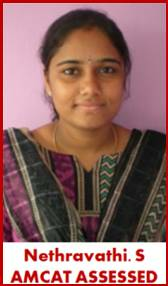 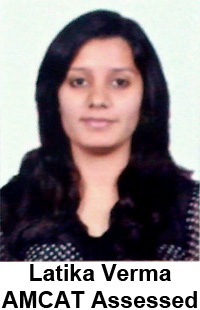 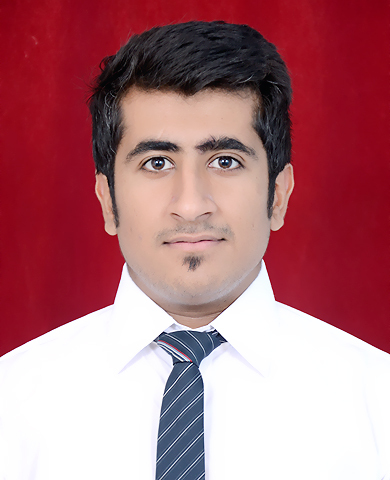 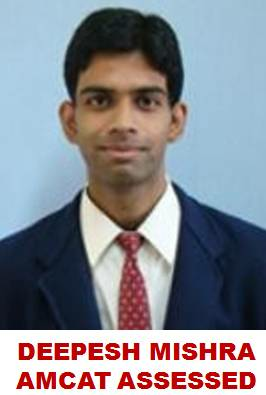 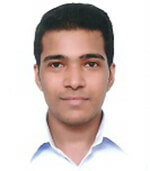 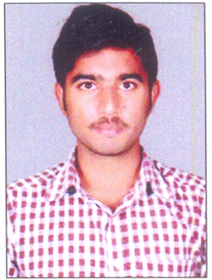 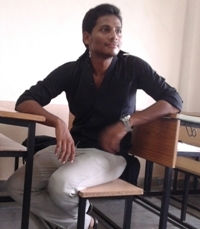 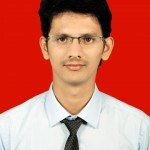 Paritosh: AMCAT’s approach towards student is very nice. 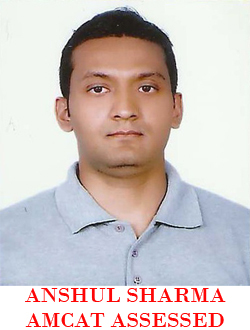 The AMCAT exam tests all the basic employability skills of a candidate. 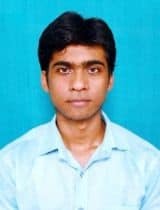 The feedback report provided by AMCAT was also very comprehensive in which percentile of each and every section was given mentioning our strong and weak areas. 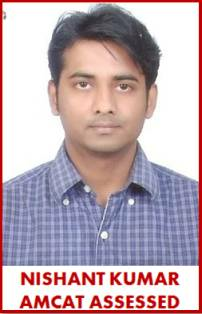 Besides this AMCAT customer service department is also very excellent. 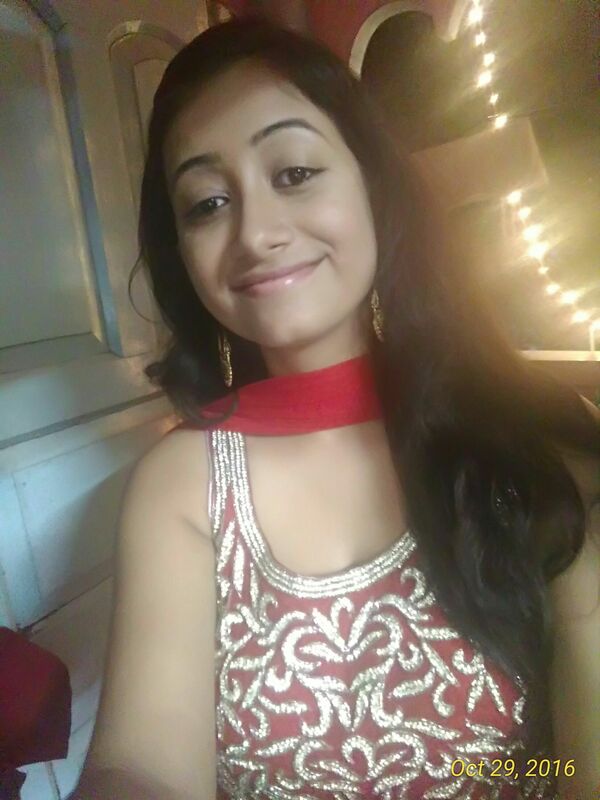 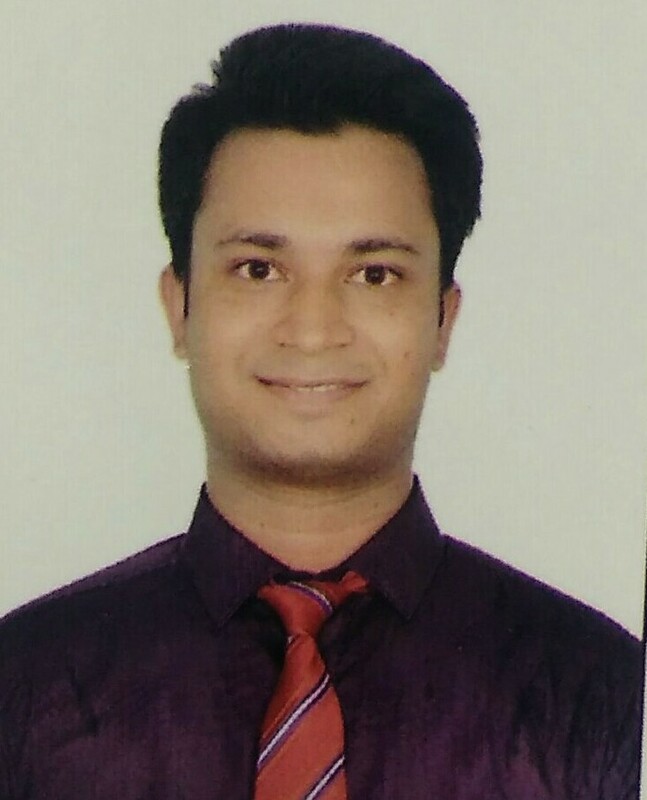 They kept on e-mailing me for every job opportunity according to my profile and my scores and also about the interviews in which I got shortlisted. 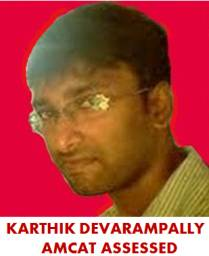 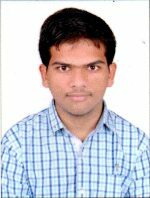 Before going to the interview at Sapient I got a call from one of the customer service executives of AMCAT for confirmation of the interview. 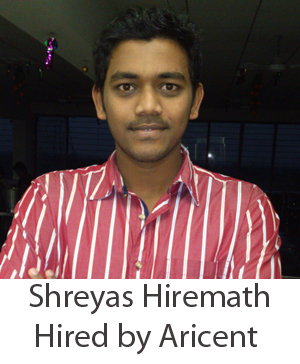 Finally, I would like to thanks AMCAT for helping me get a job in Sapient Nitro after College. 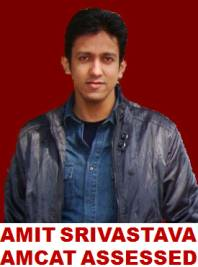 Aspiring Minds: What is your view about AMCAT Toppers Club and how beneficial it was to be an AMCAT Topper? 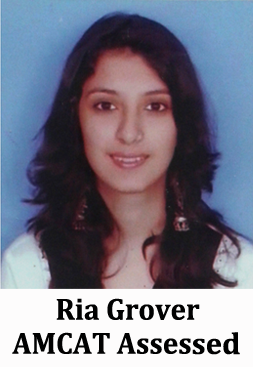 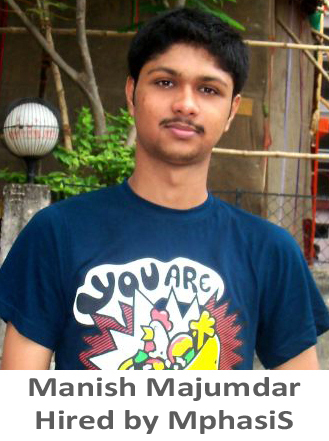 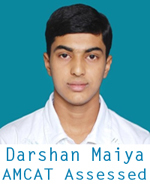 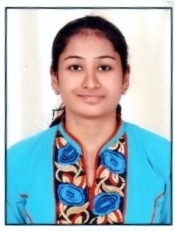 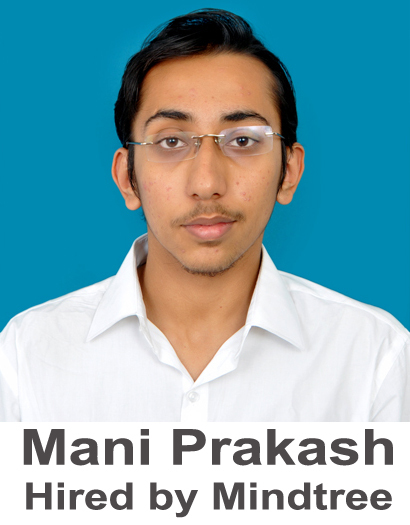 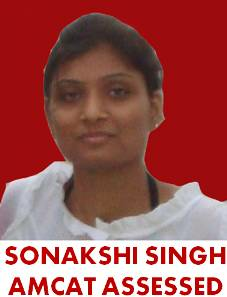 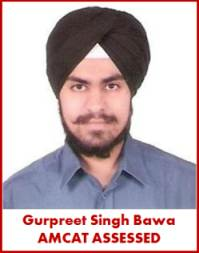 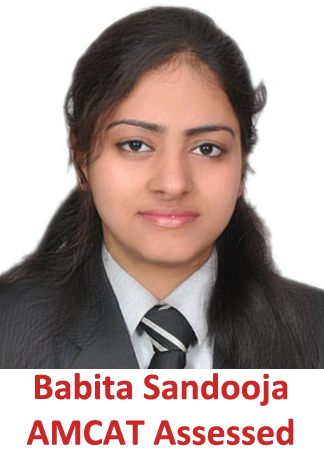 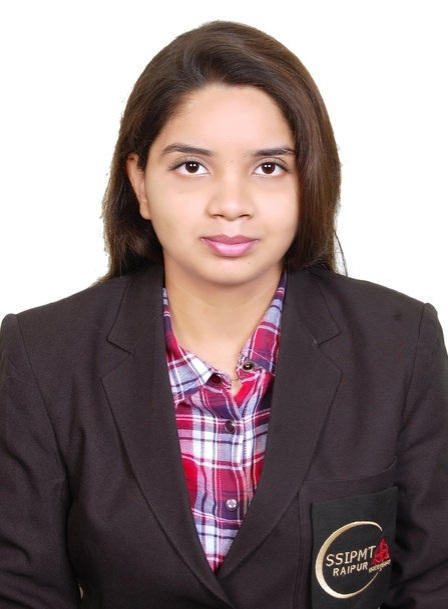 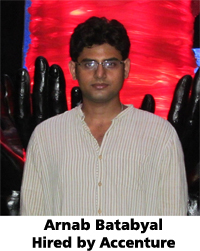 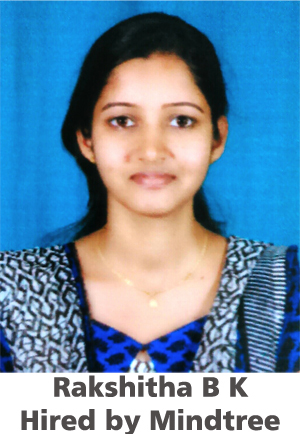 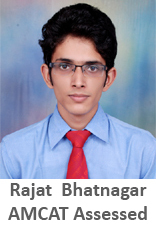 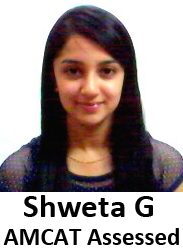 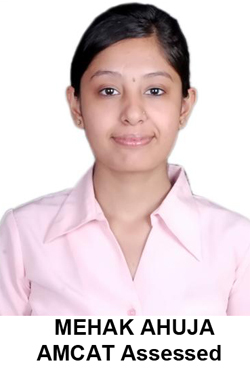 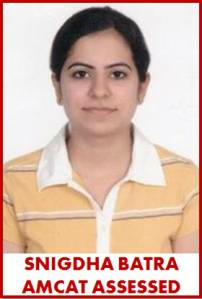 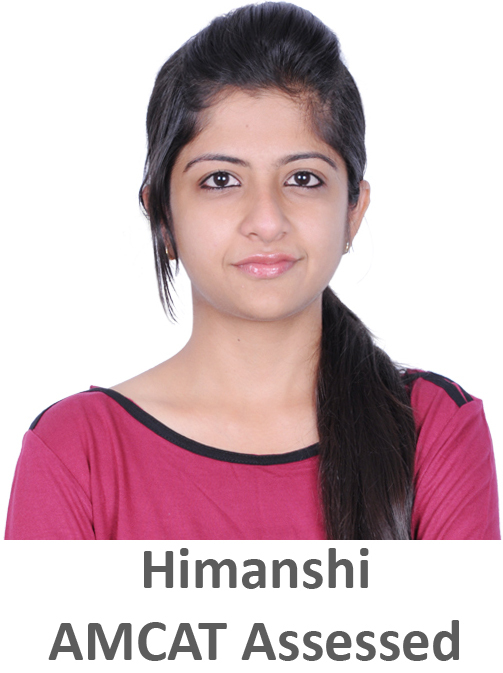 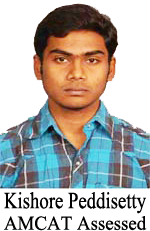 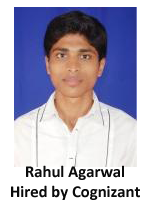 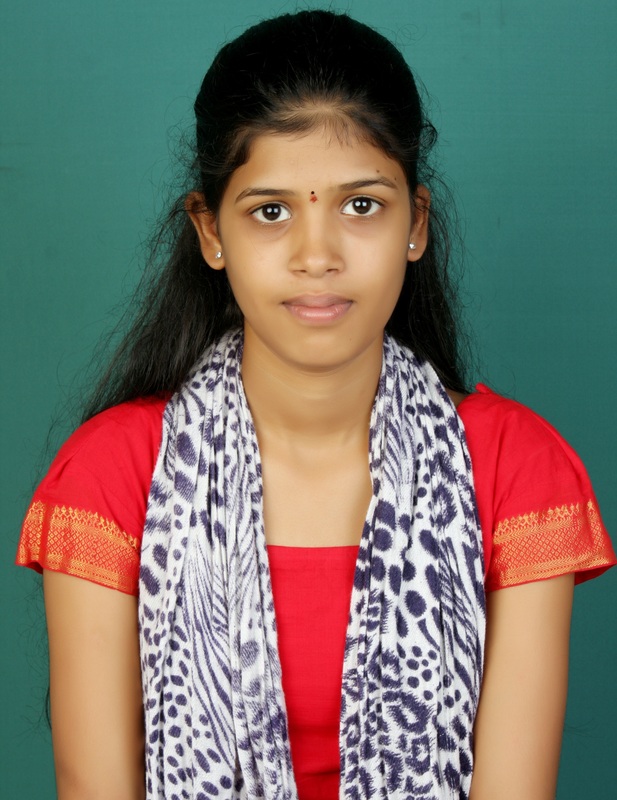 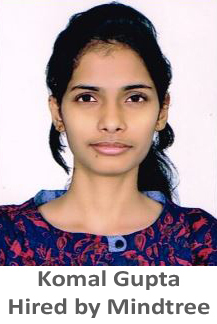 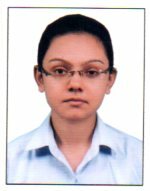 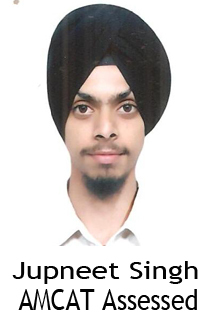 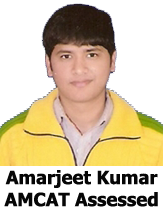 Paritosh: AMCAT Toppers Club is a group of candidates who secured high percentile in AMCAT exam. 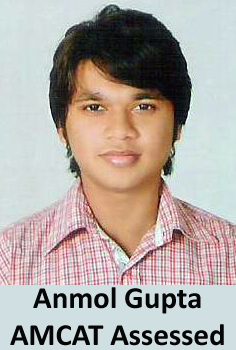 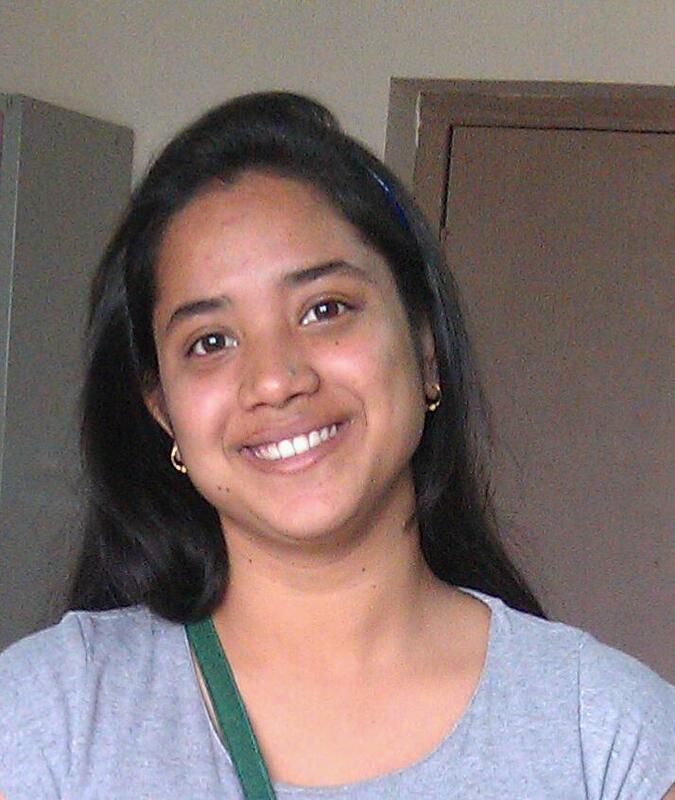 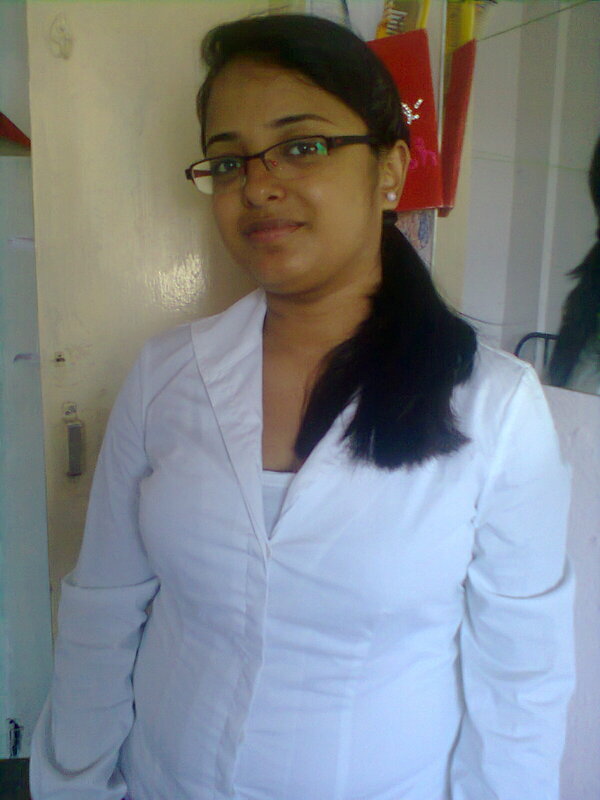 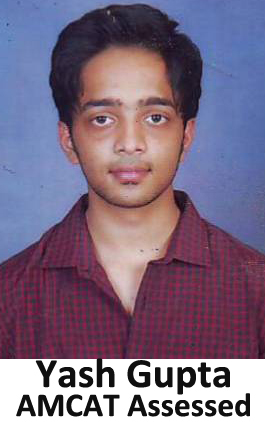 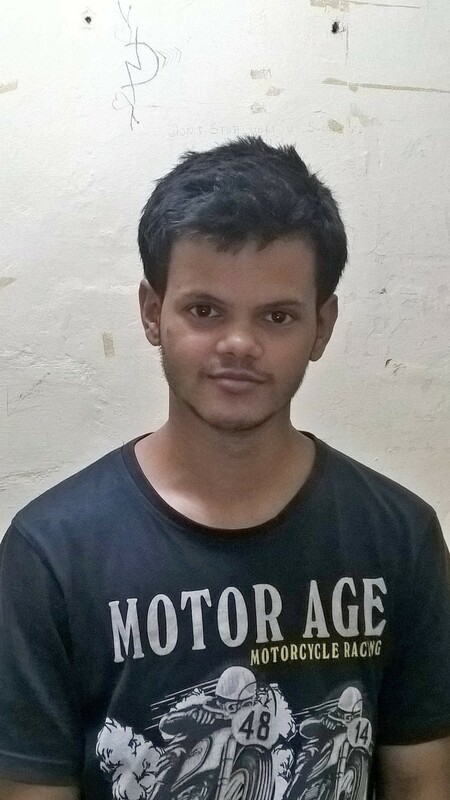 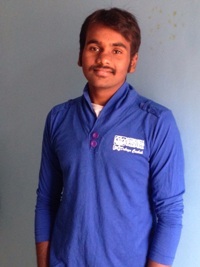 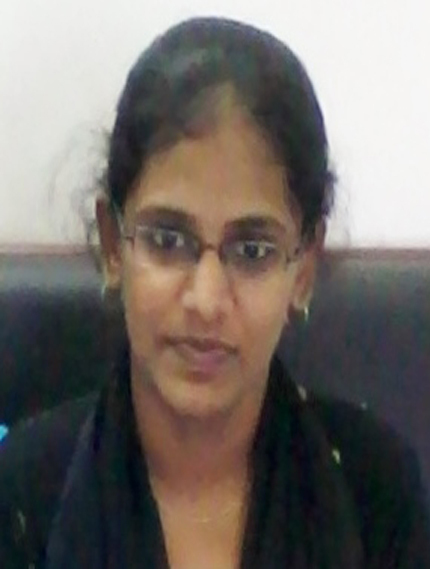 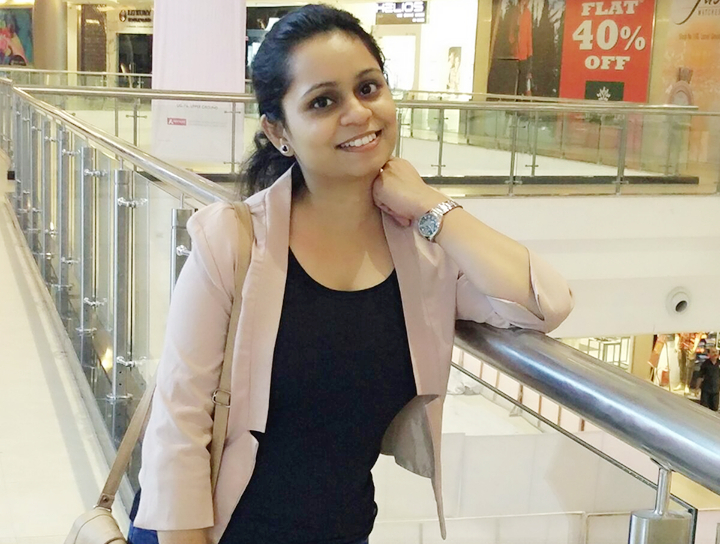 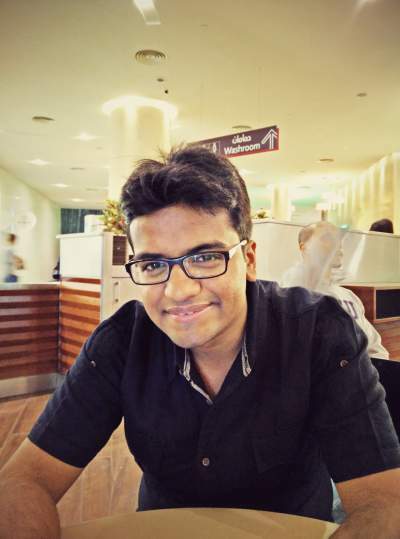 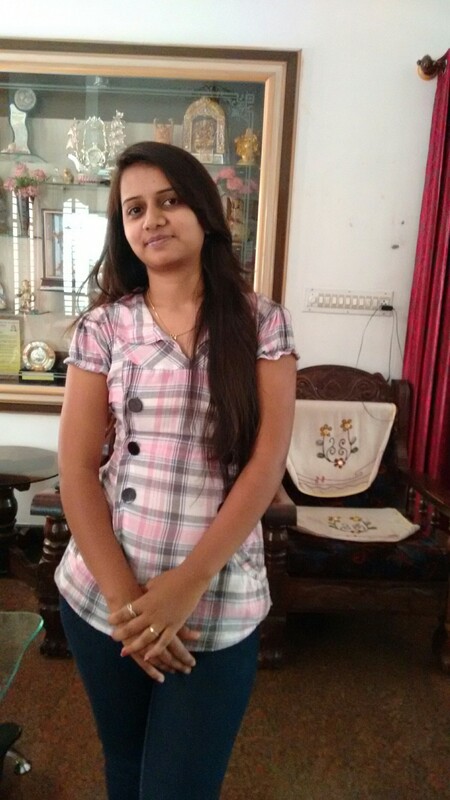 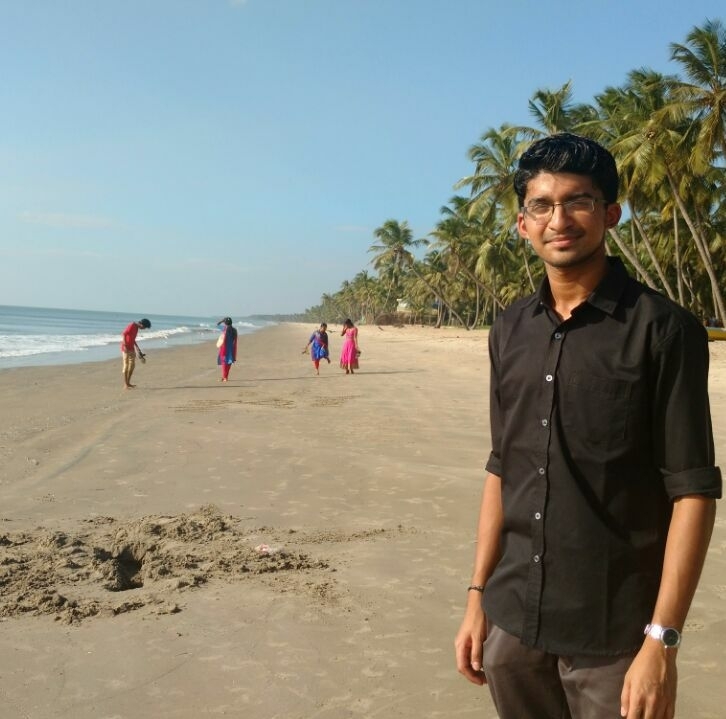 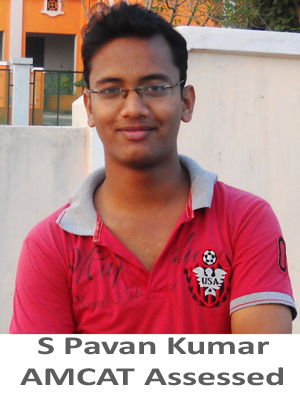 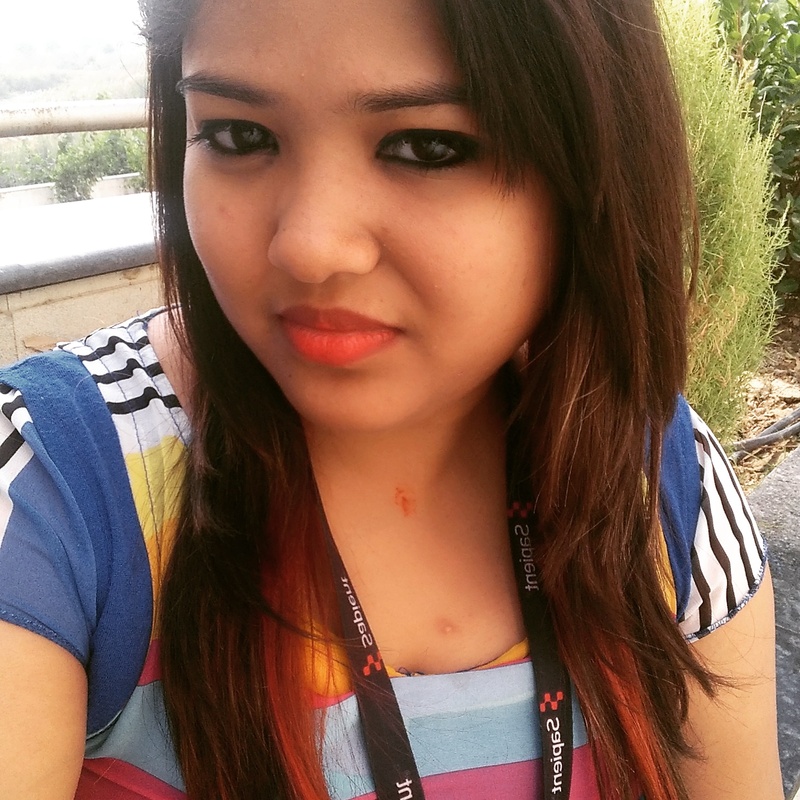 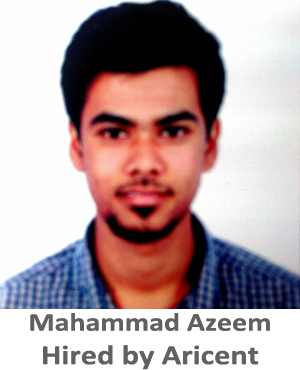 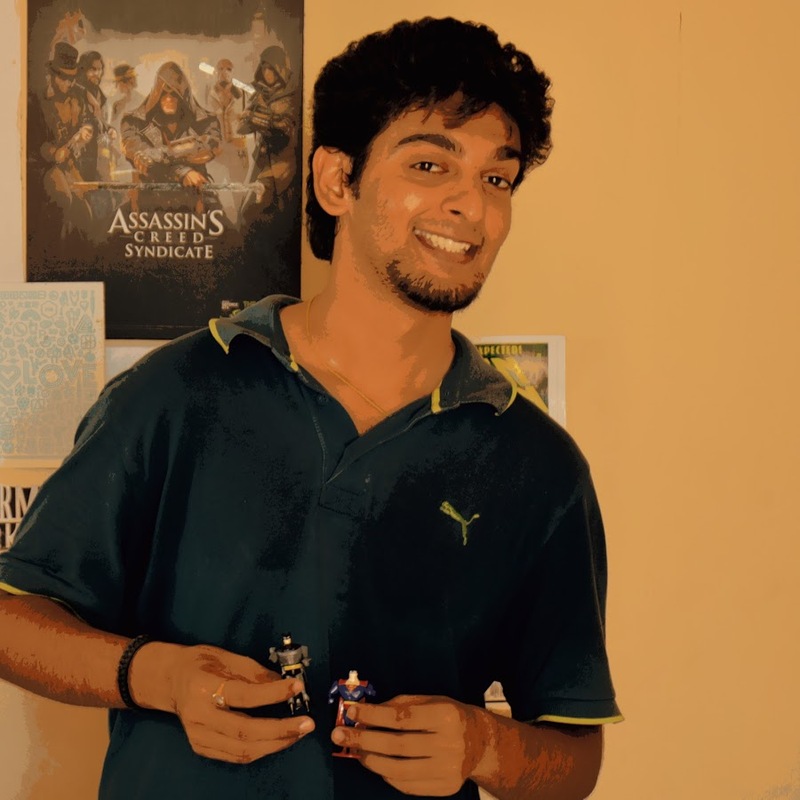 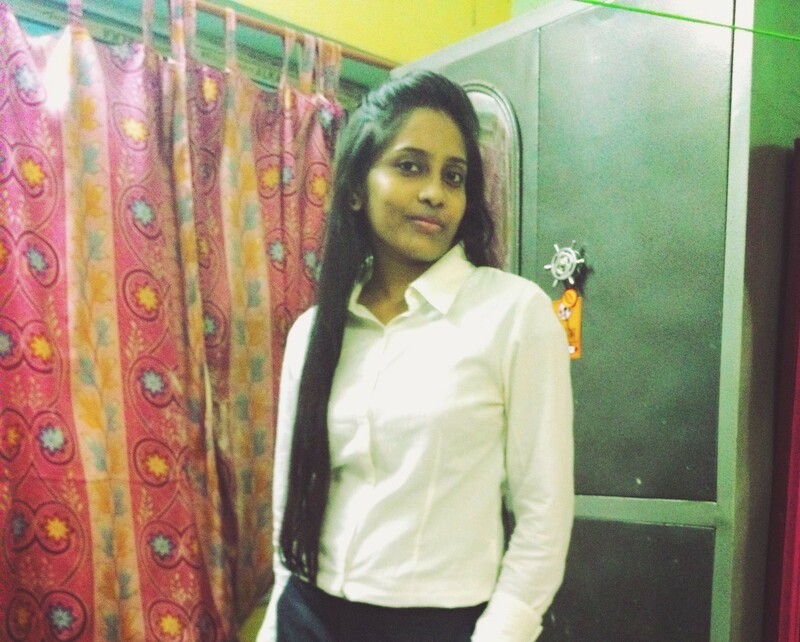 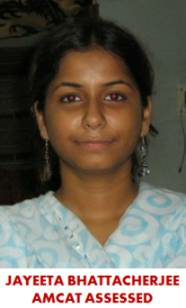 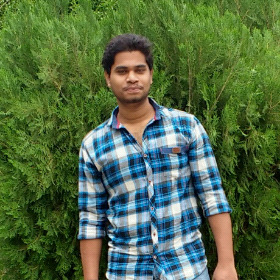 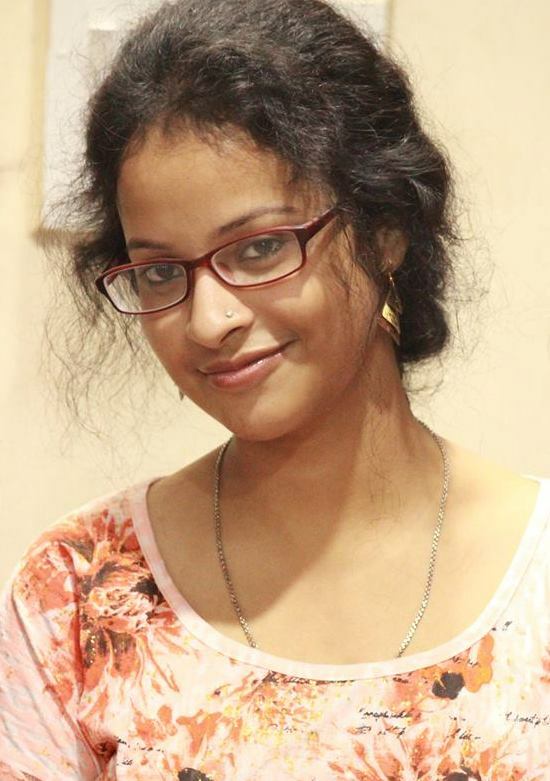 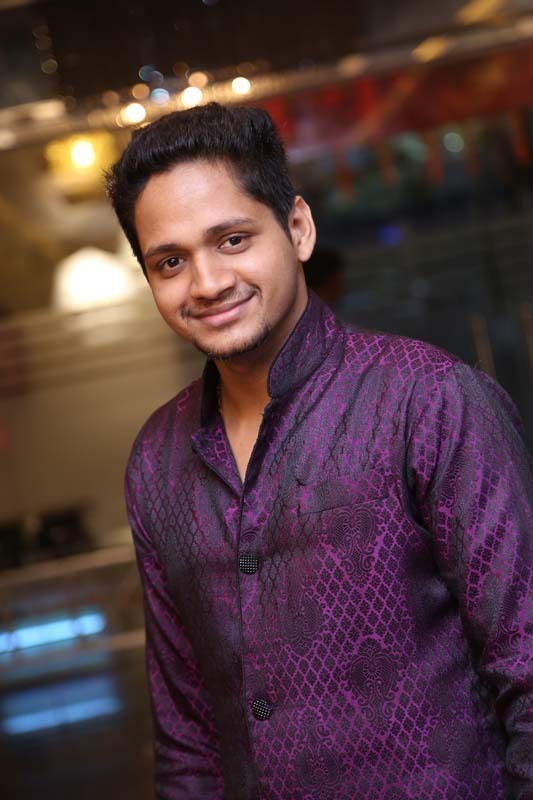 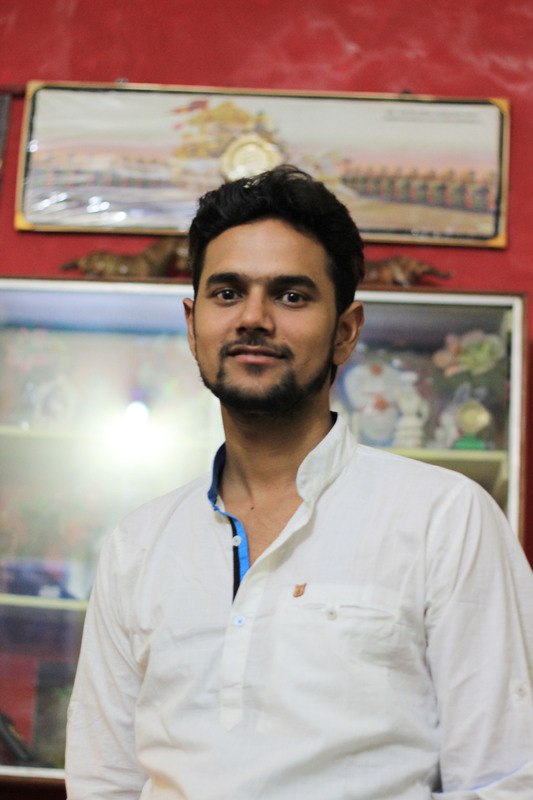 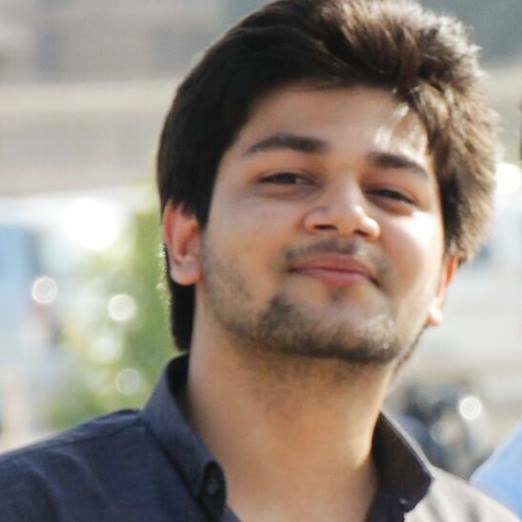 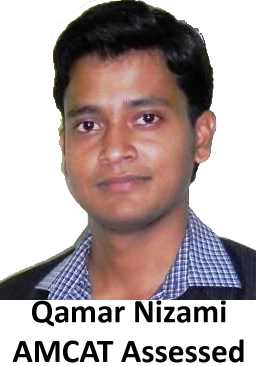 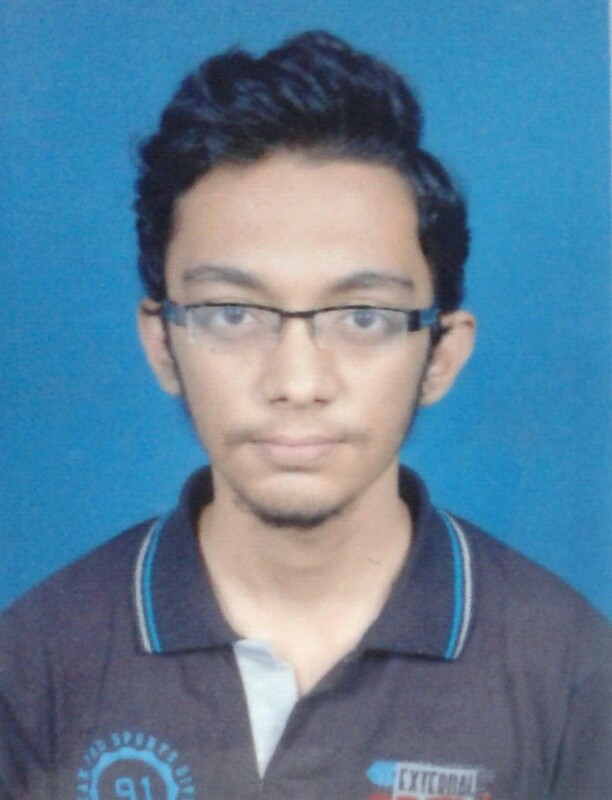 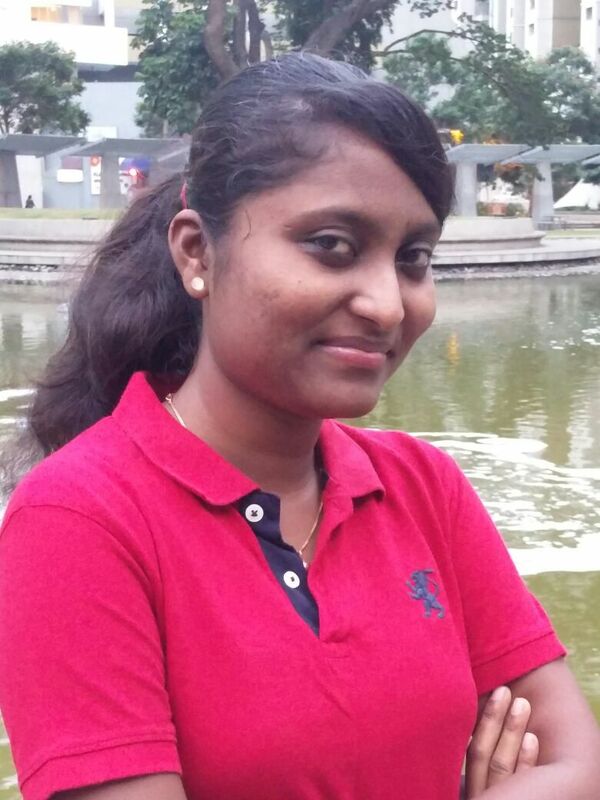 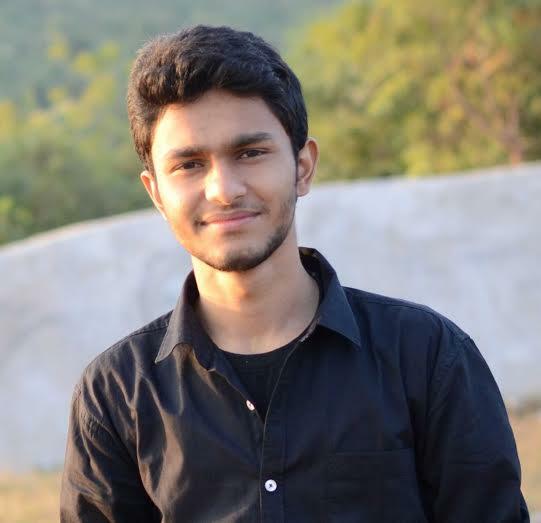 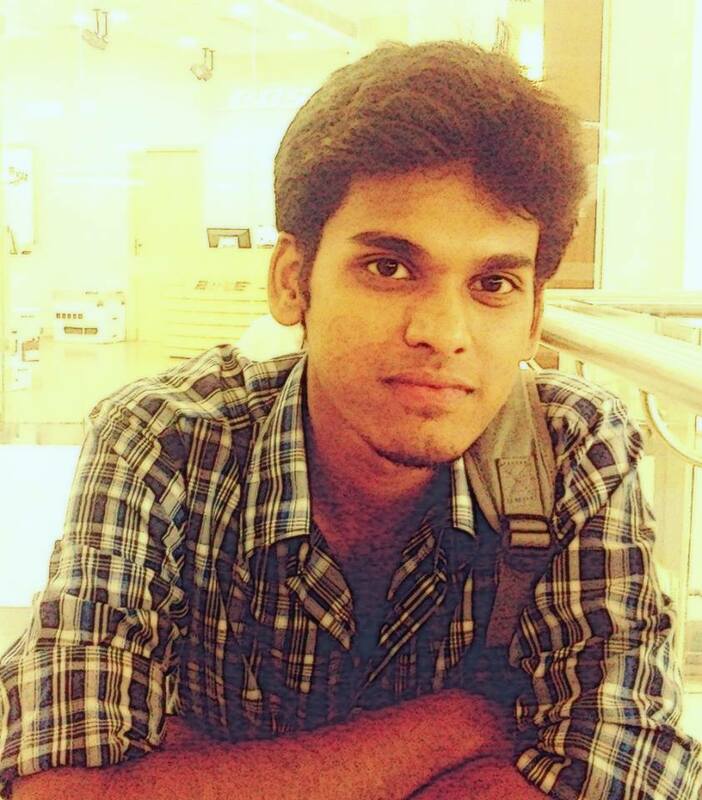 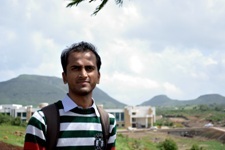 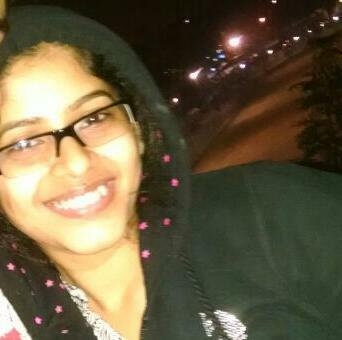 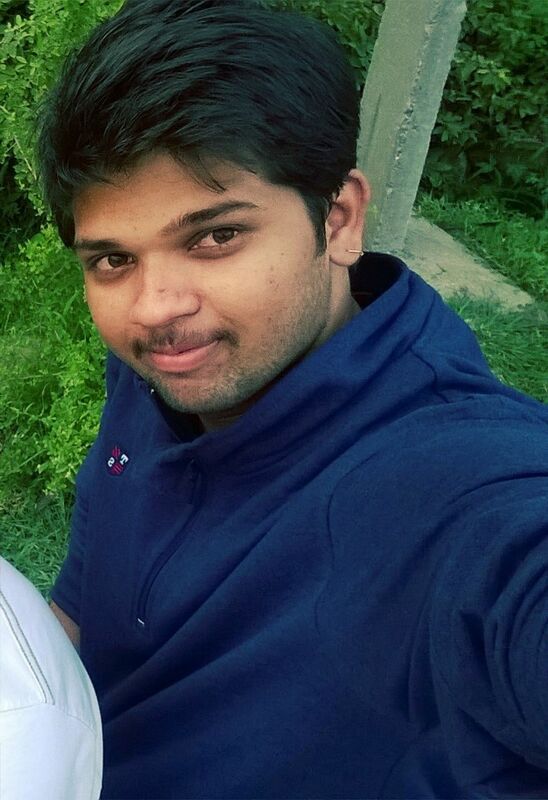 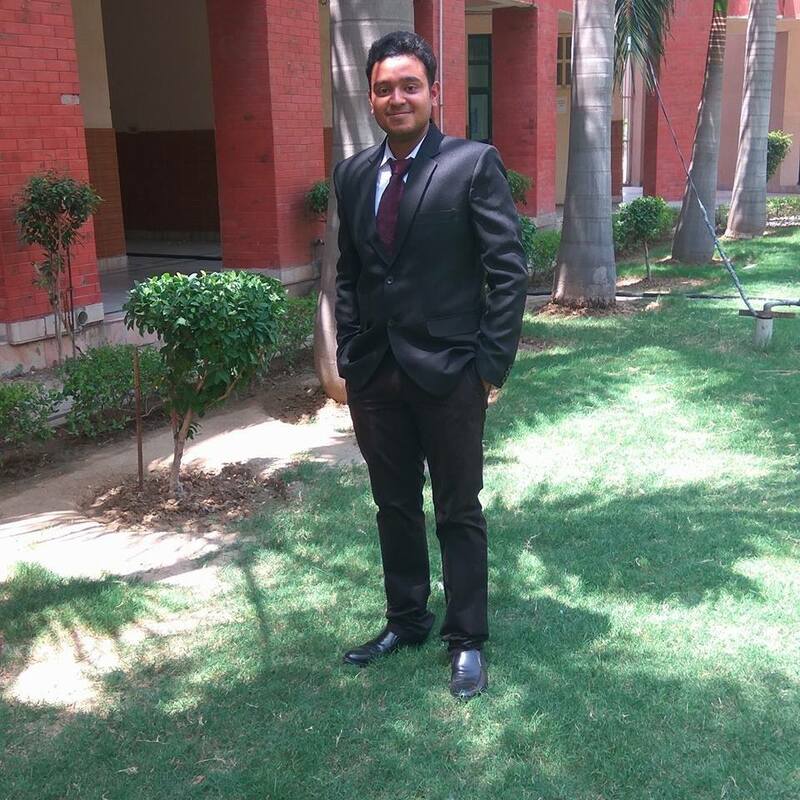 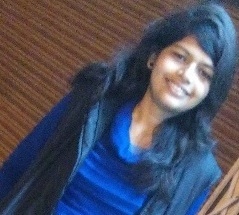 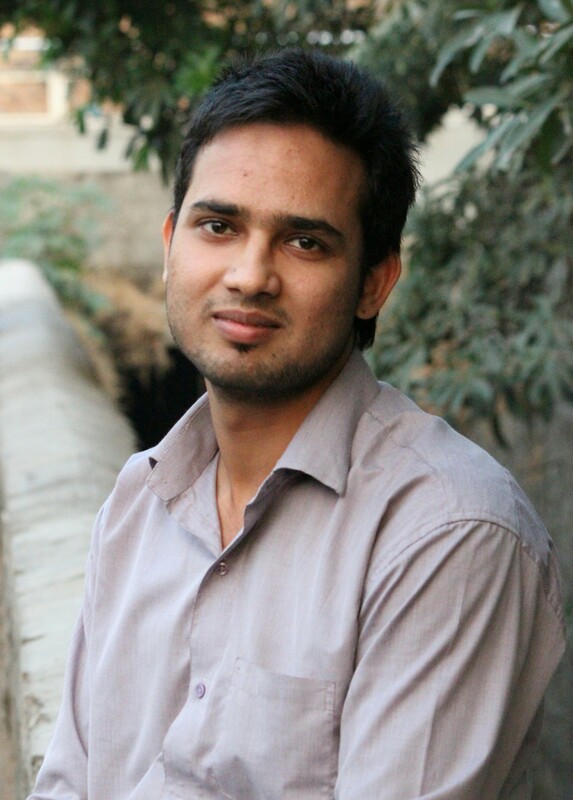 Being in AMCAT topper's club helped me get a job in Sapient Nitro. 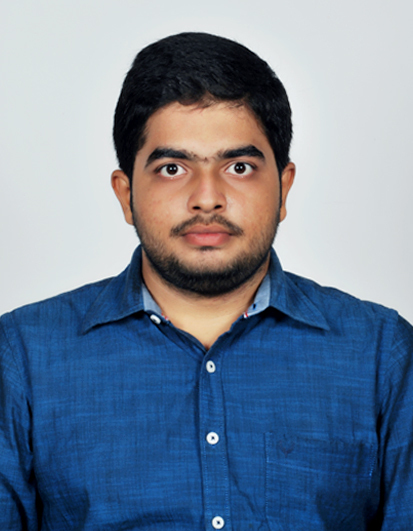 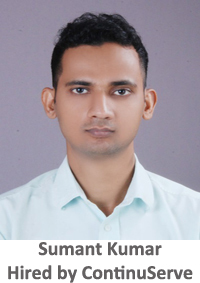 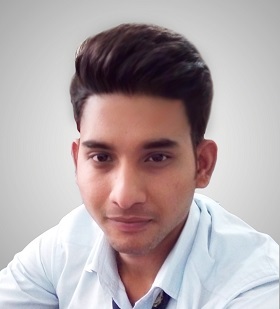 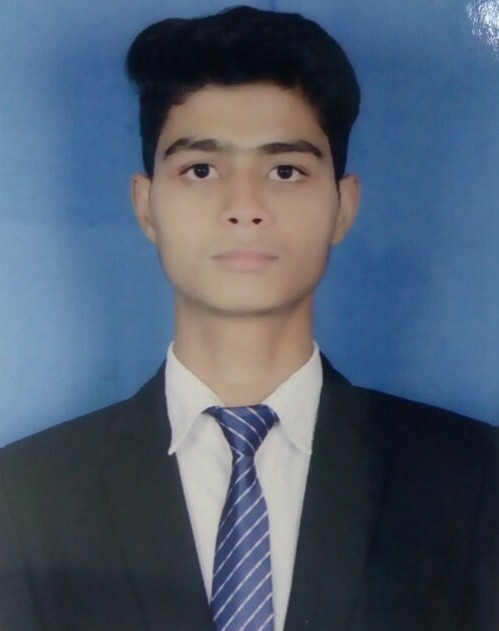 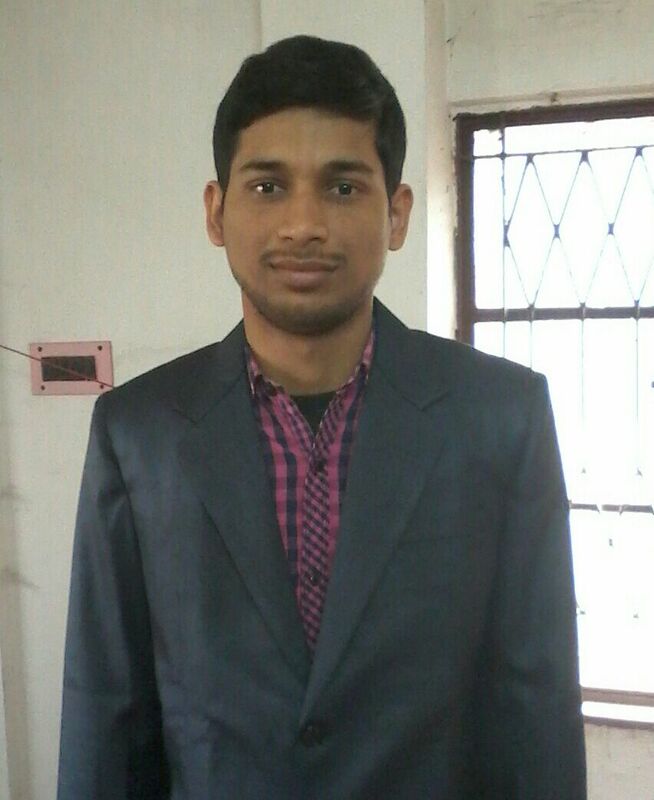 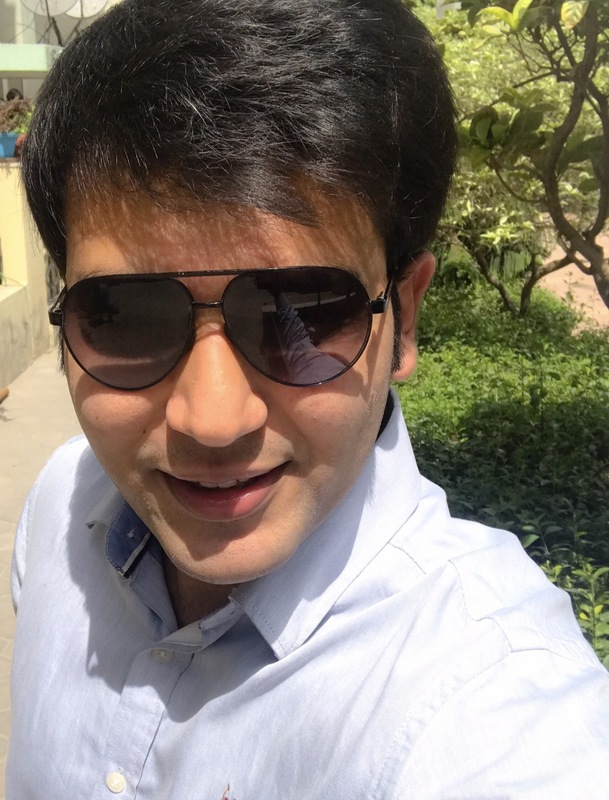 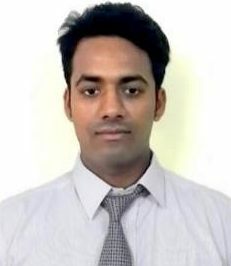 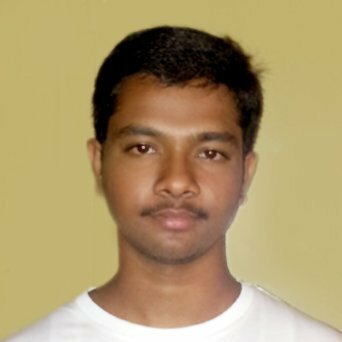 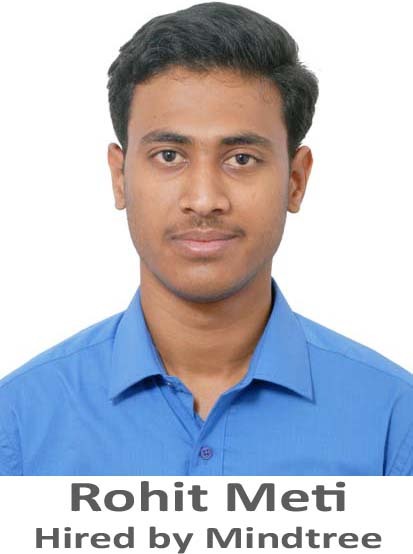 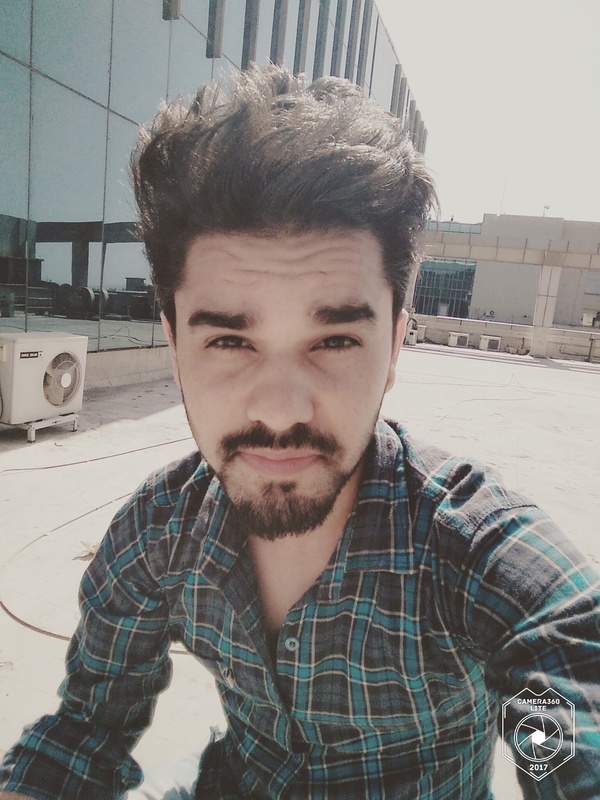 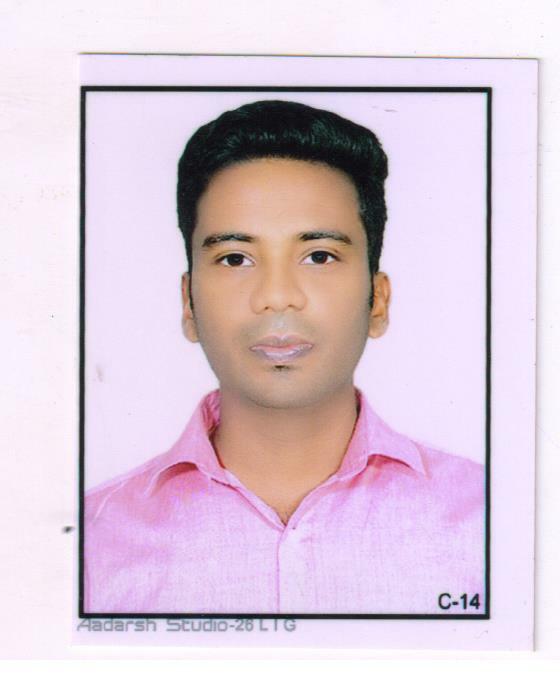 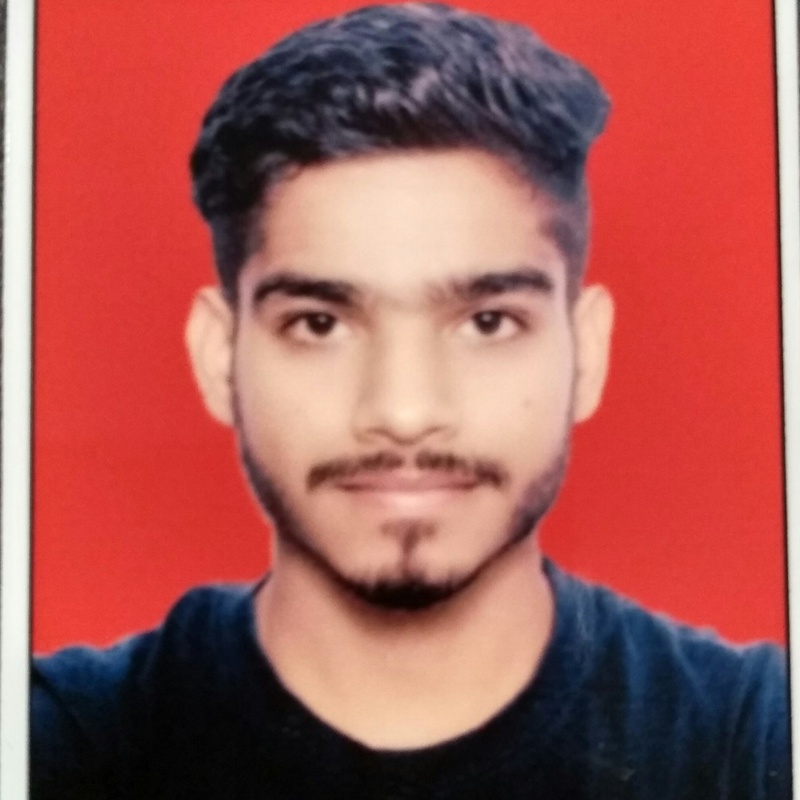 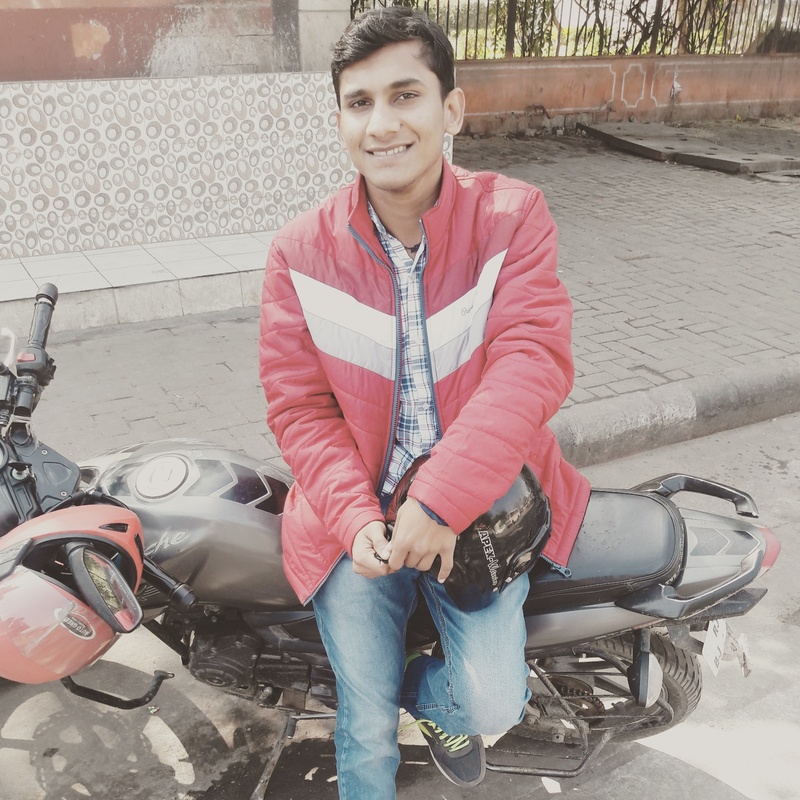 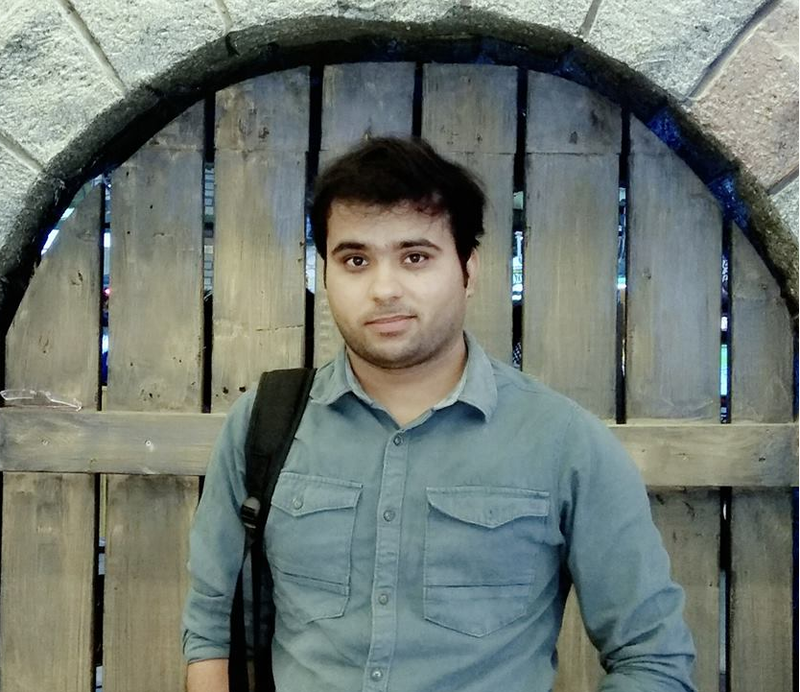 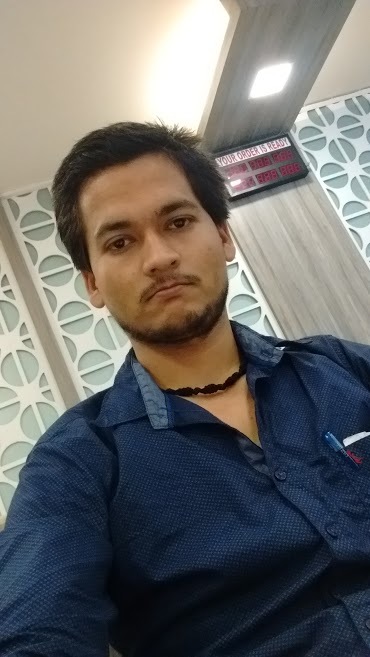 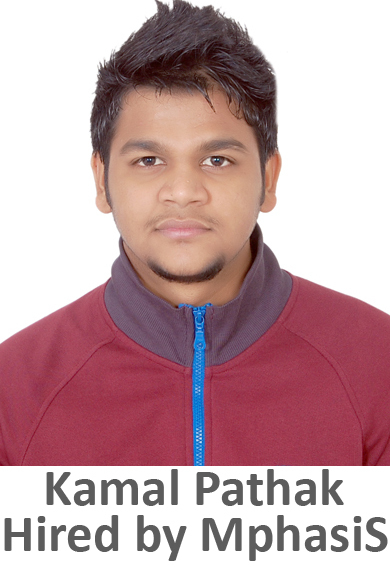 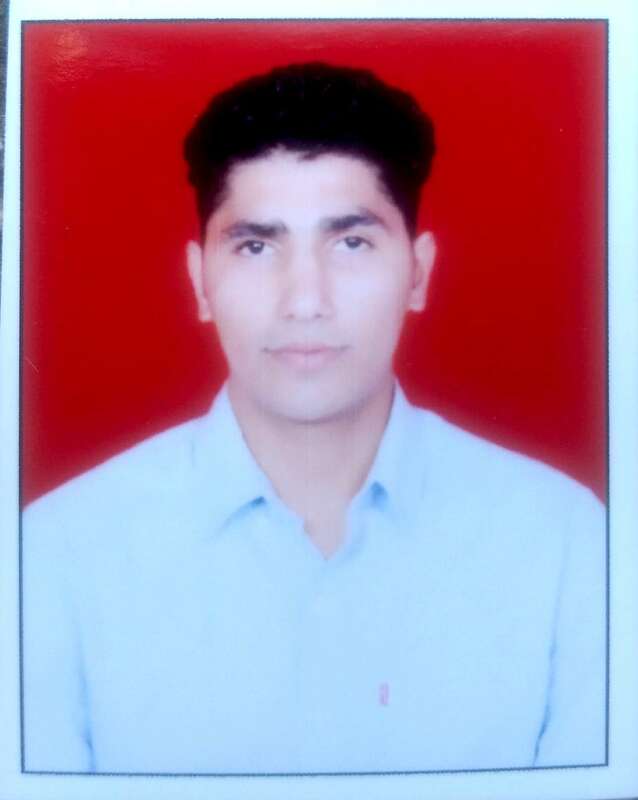 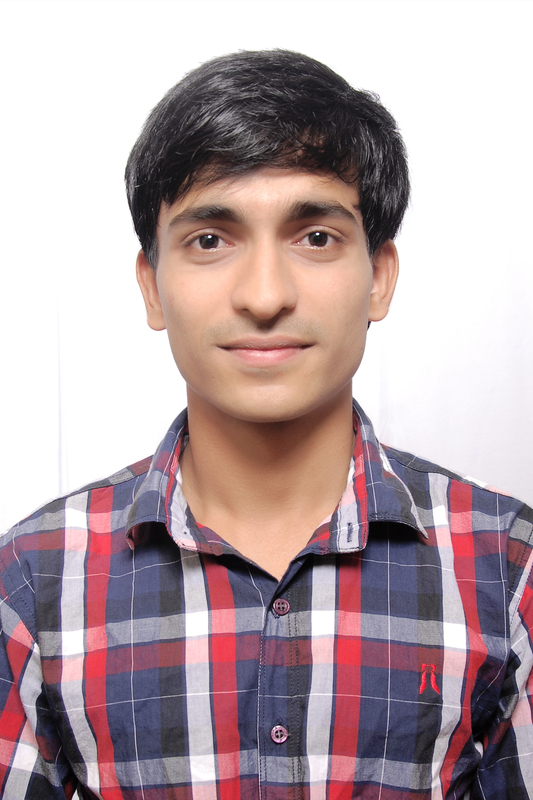 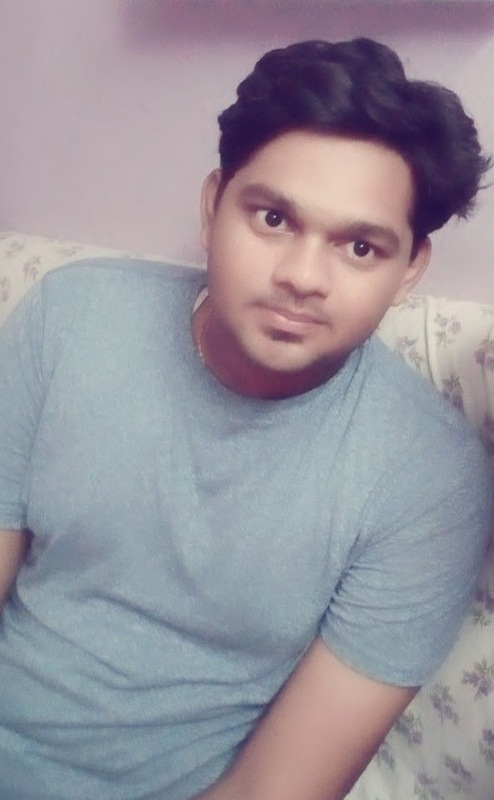 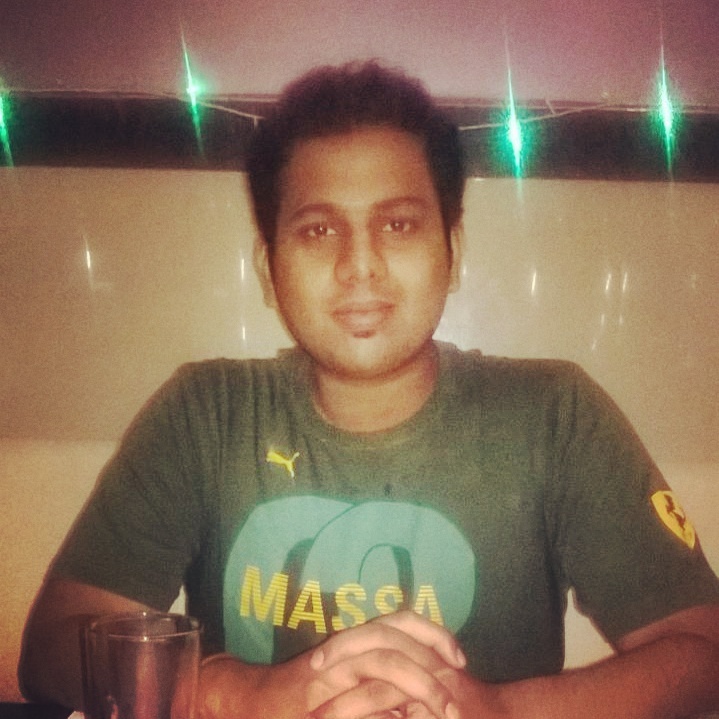 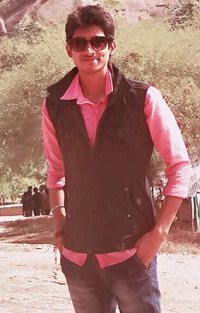 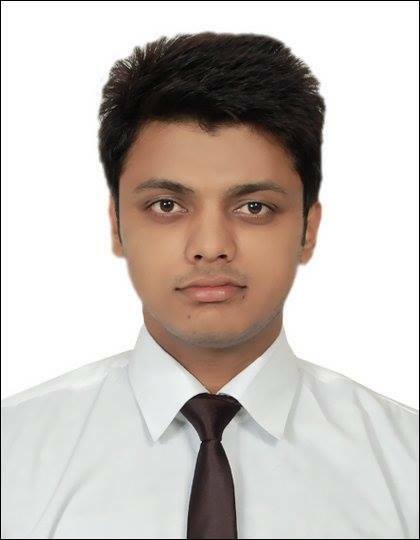 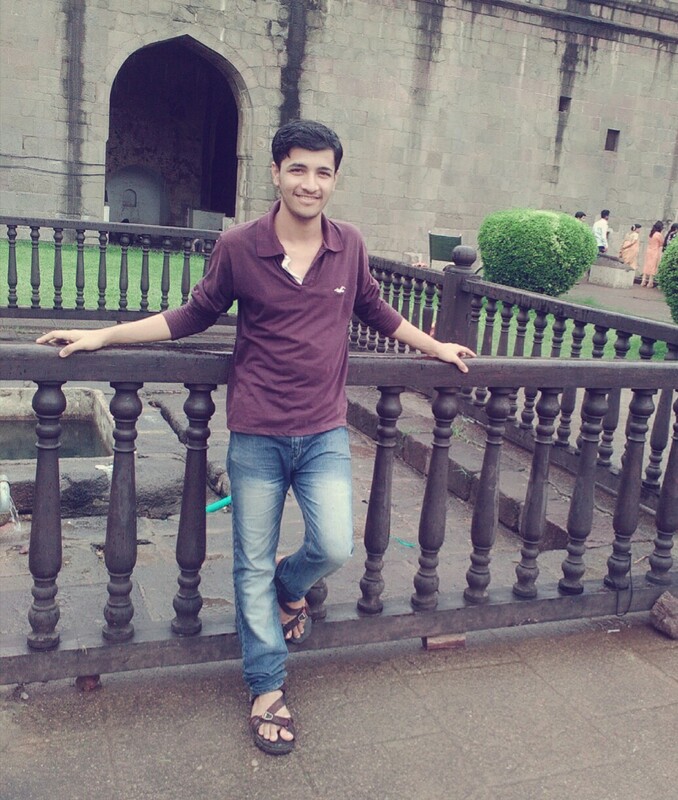 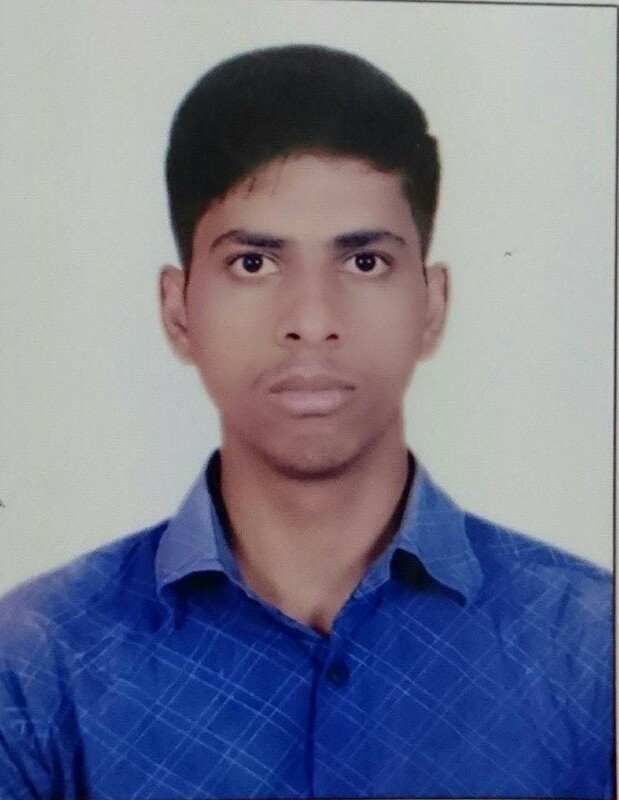 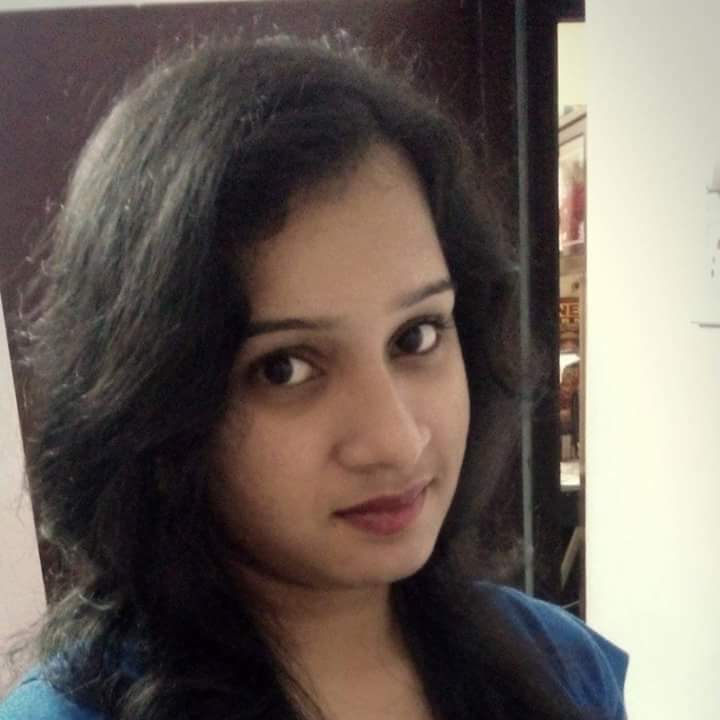 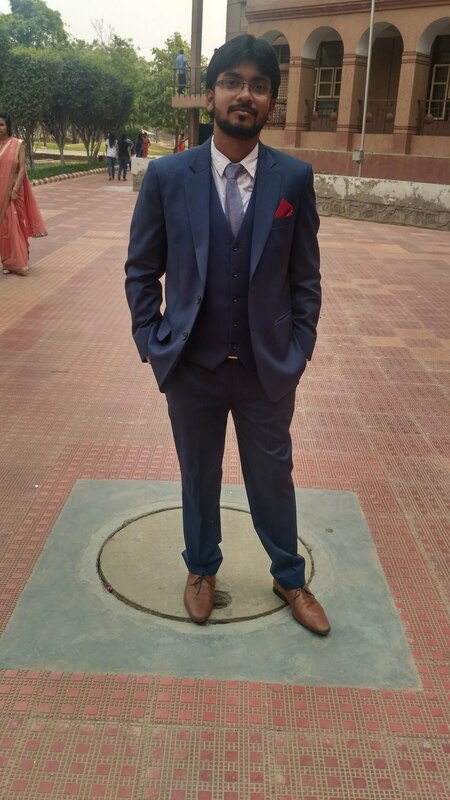 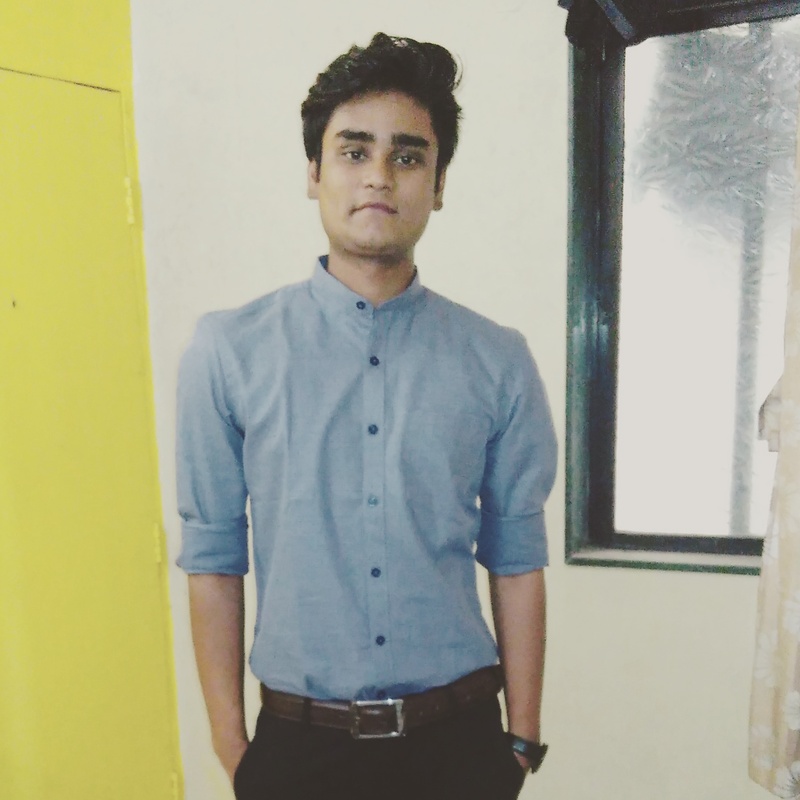 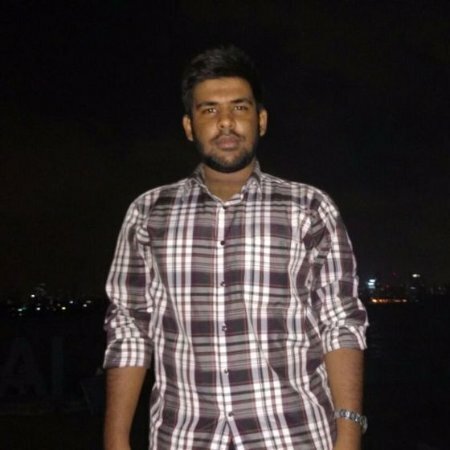 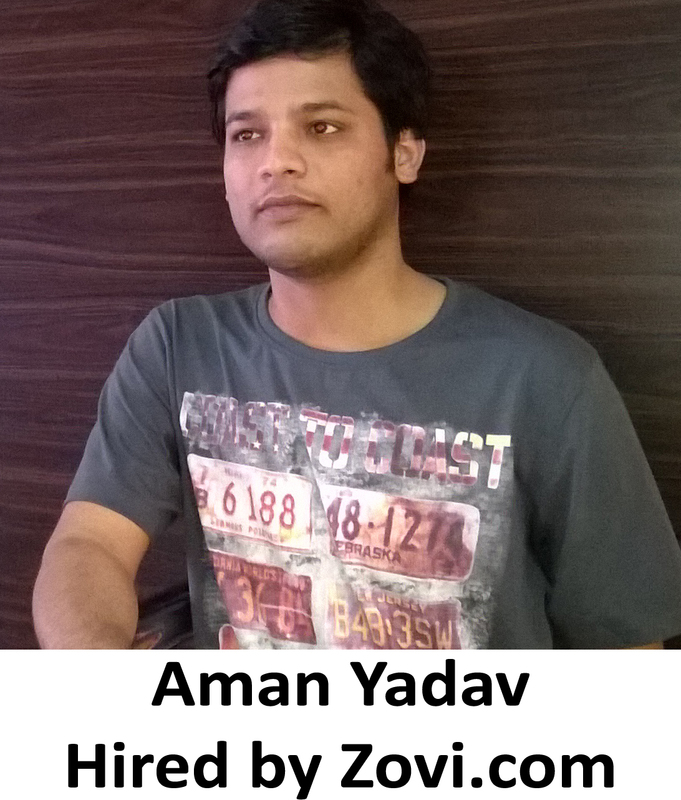 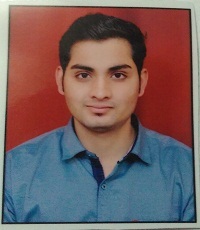 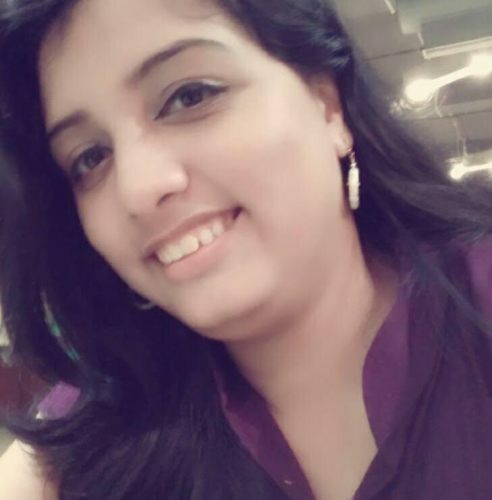 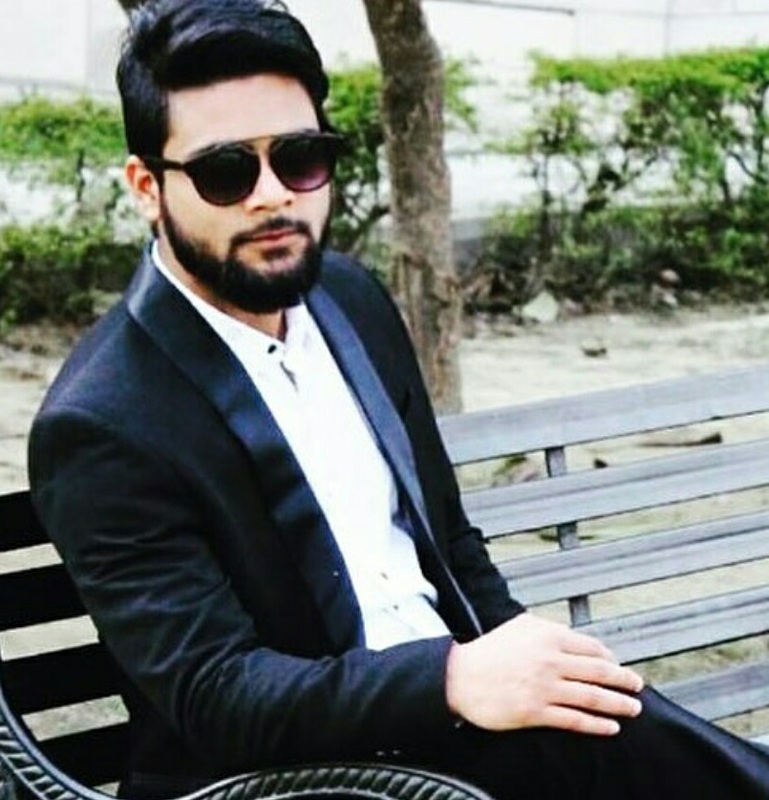 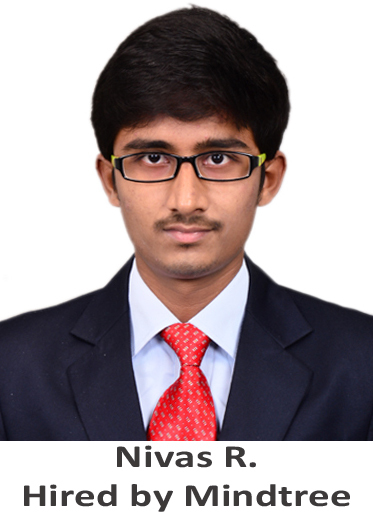 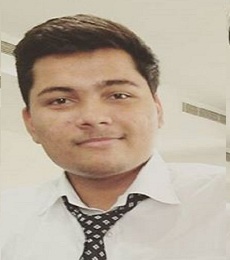 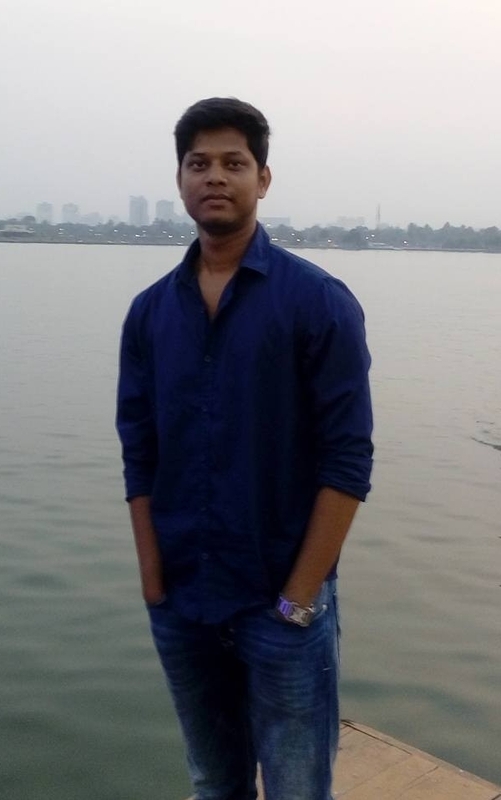 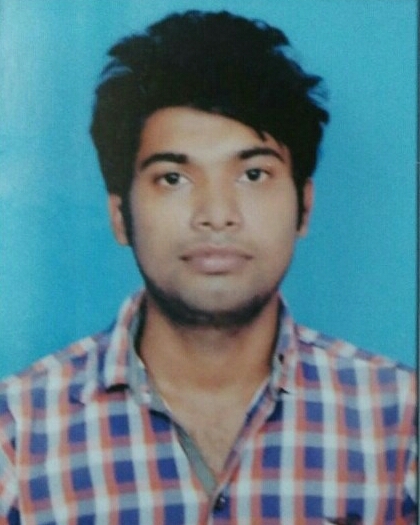 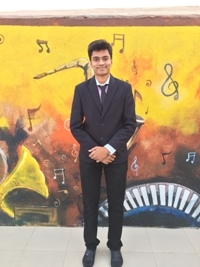 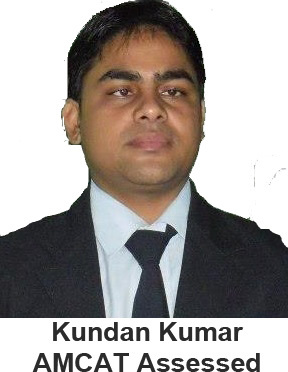 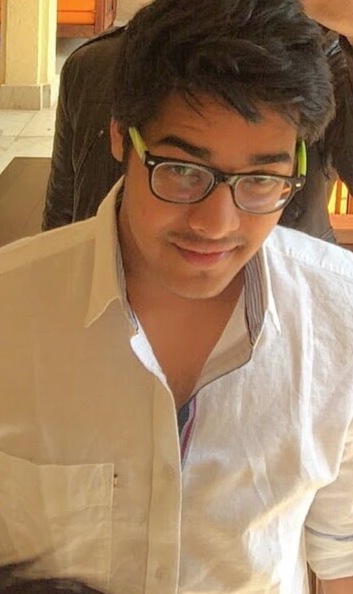 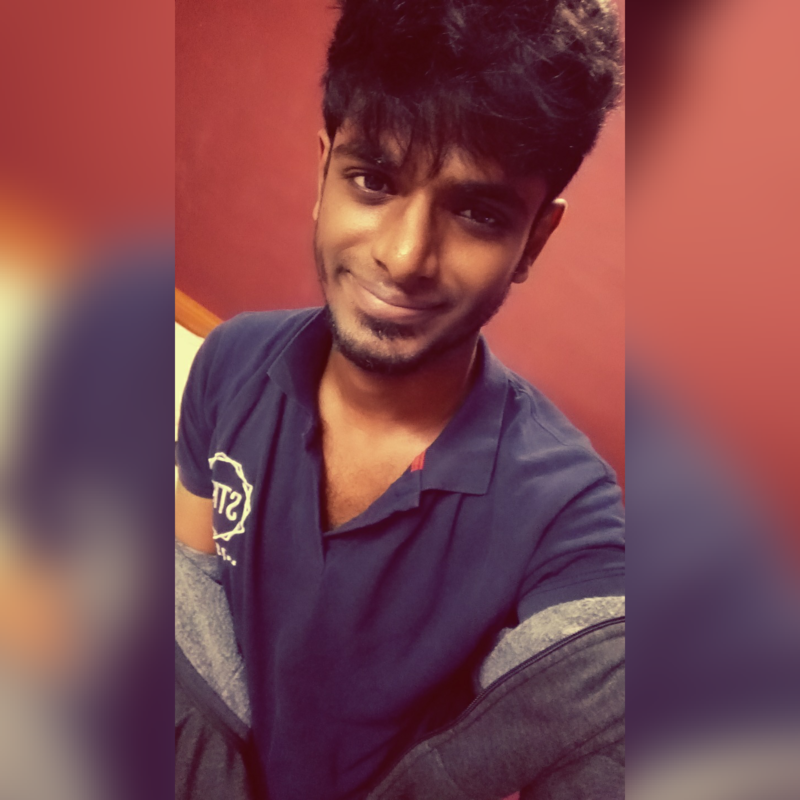 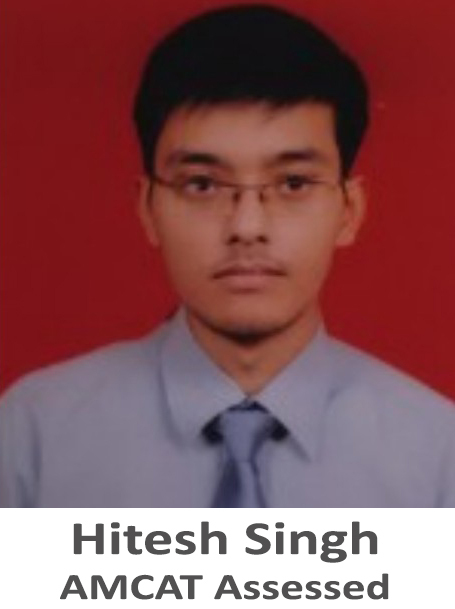 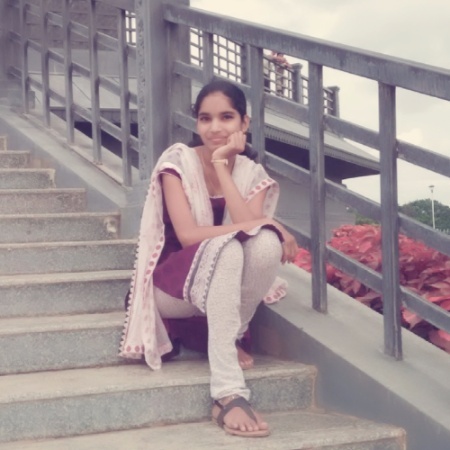 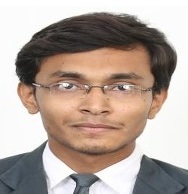 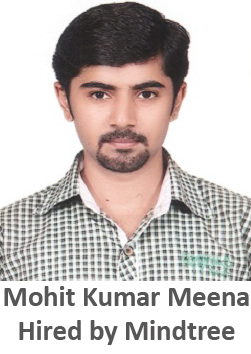 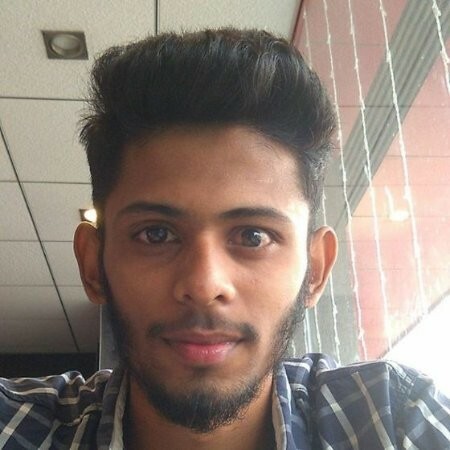 Paritosh: I would always like to suggest other job seekers to take AMCAT because at times of hard luck and recession AMCAT provides a way to get placed in your dream company. 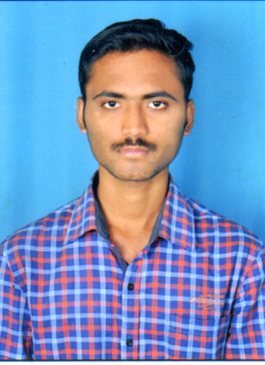 Besides this, it is also very economical and you will get a whole lot of job opportunities waiting for you after giving AMCAT exam. 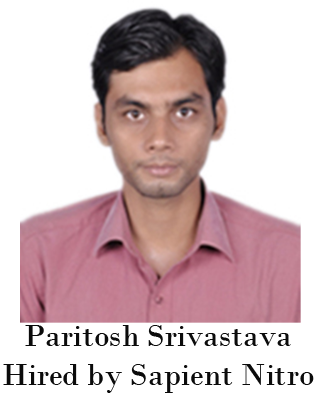 Paritosh: I would like to suggest every fresher to have a positive approach towards life and never get frustrated if he/she is not getting a job immediately. 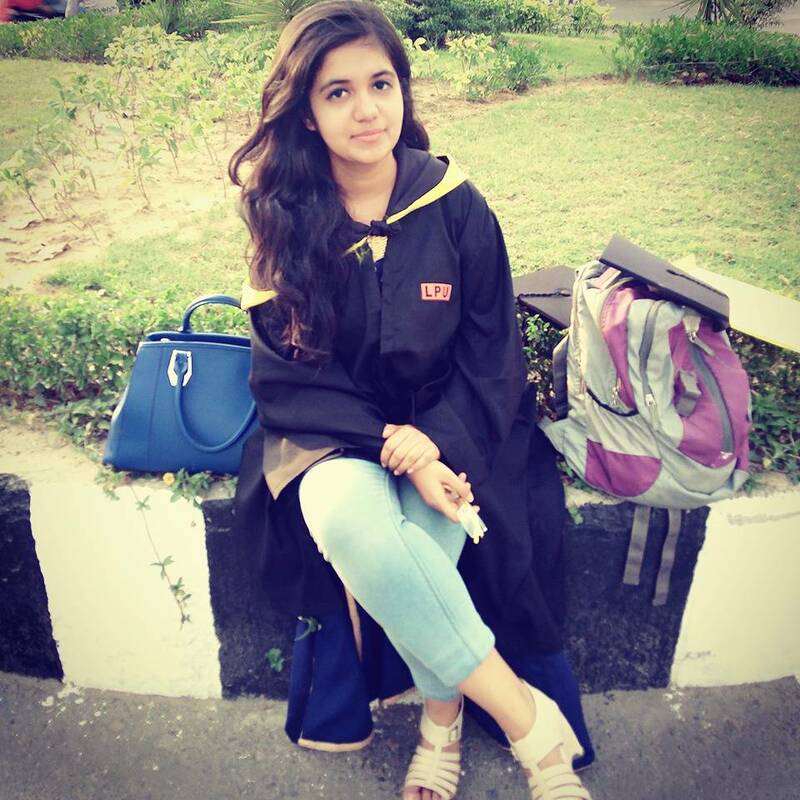 It may take some time if you are not placed through college because getting a job in off-campus drive is always a tough thing to do. 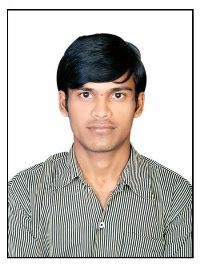 But exams like AMCAT reduce your efforts in job search to a great extent. 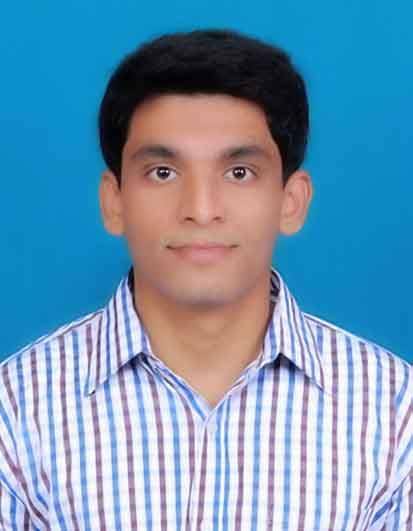 So give the AMCAT exam seriously and score a nice percentile in it. 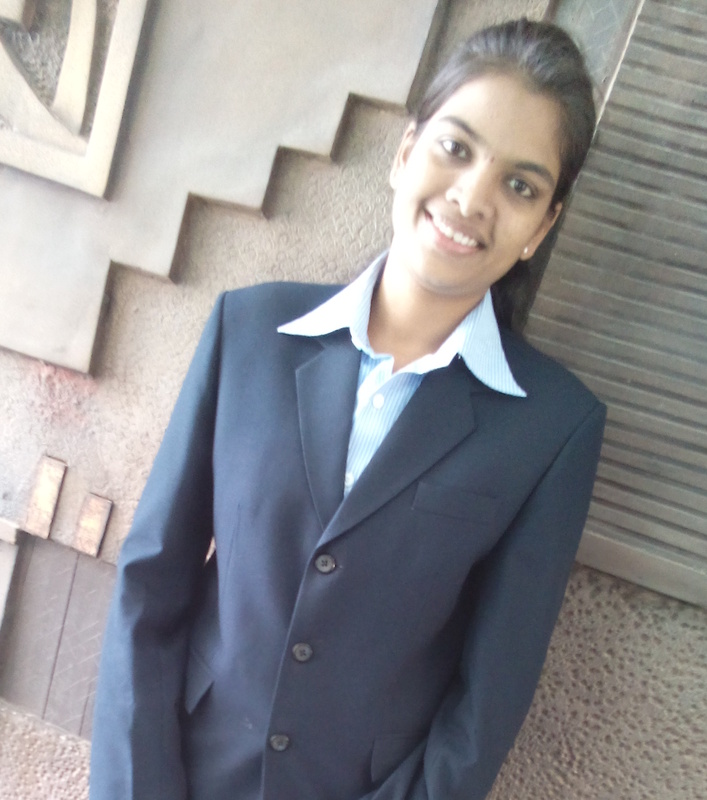 During the interview of any of the company always be confident, honest and review your projects well as questions are asked from projects.